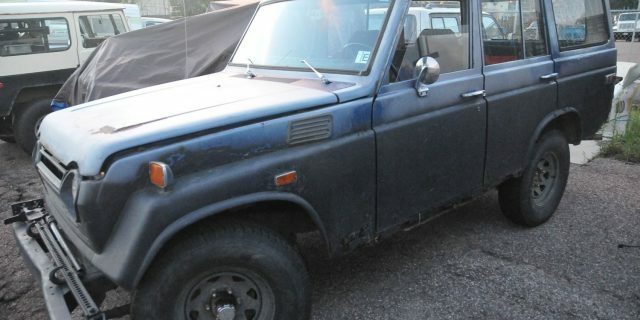 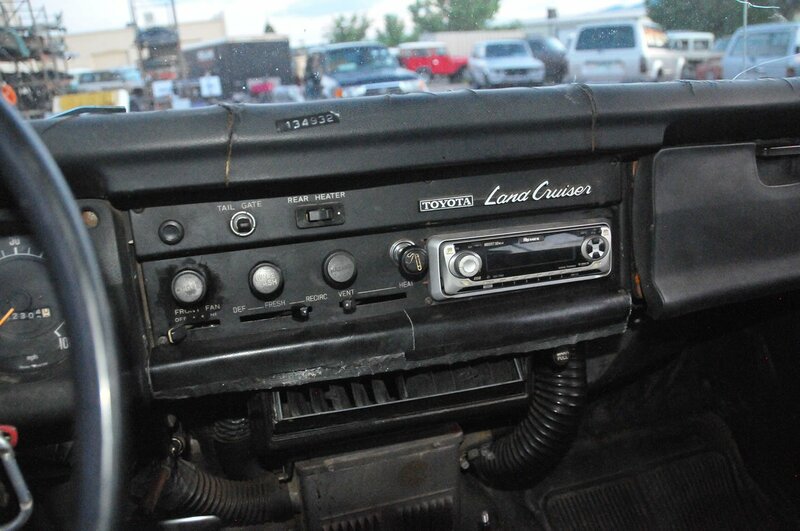 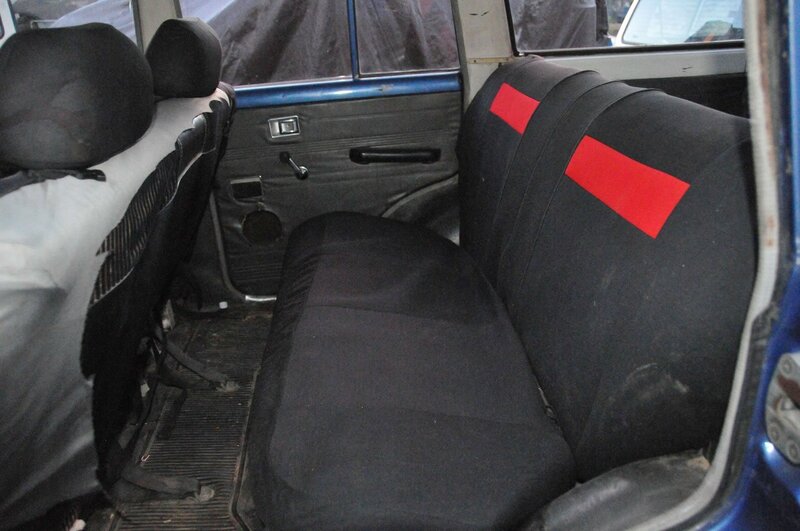 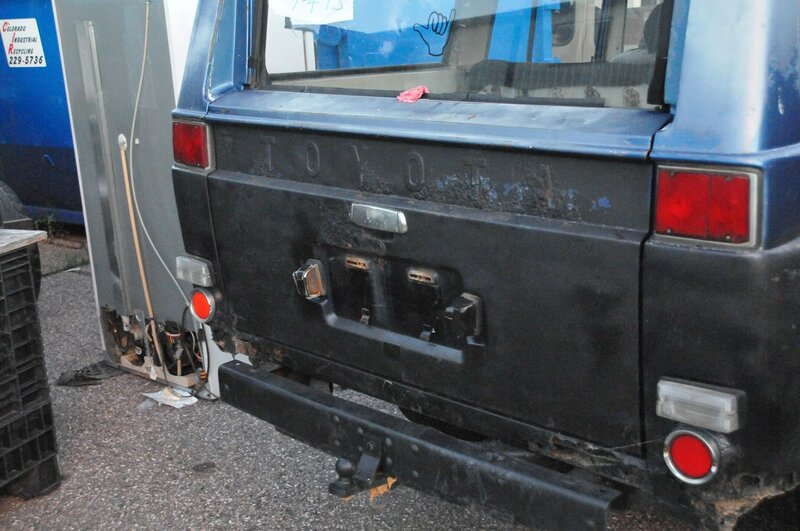 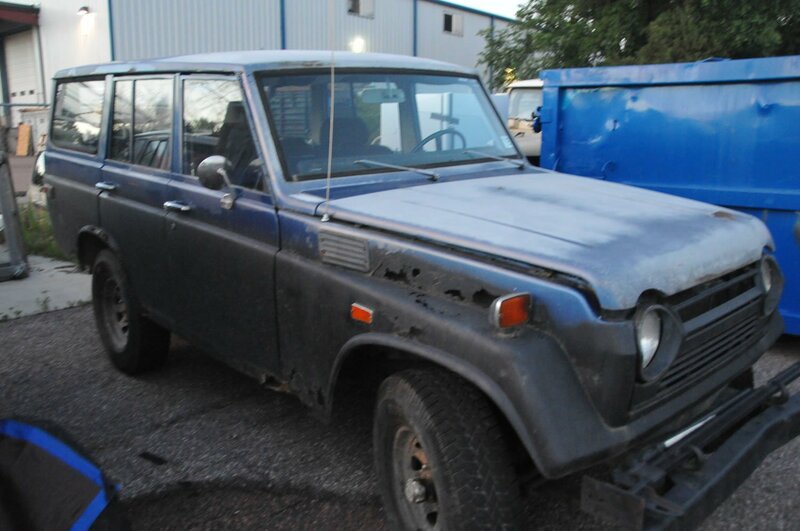 Up for sale is this 1974 Toyota Land Cruiser FJ55. 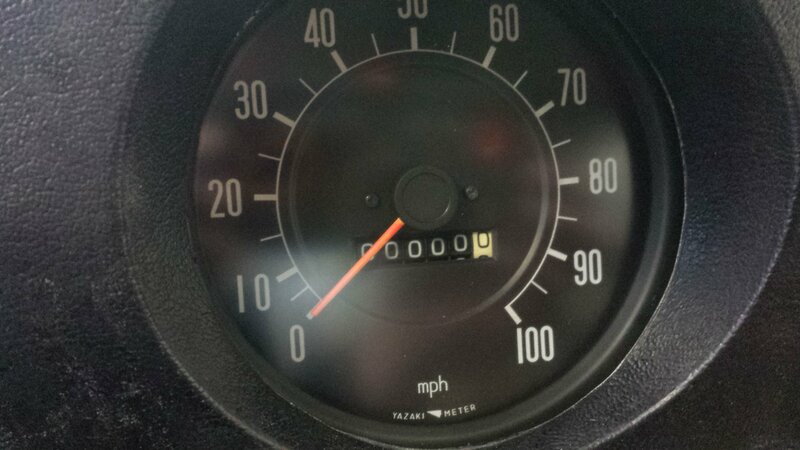 She is one rusty pig, but she runs strong. 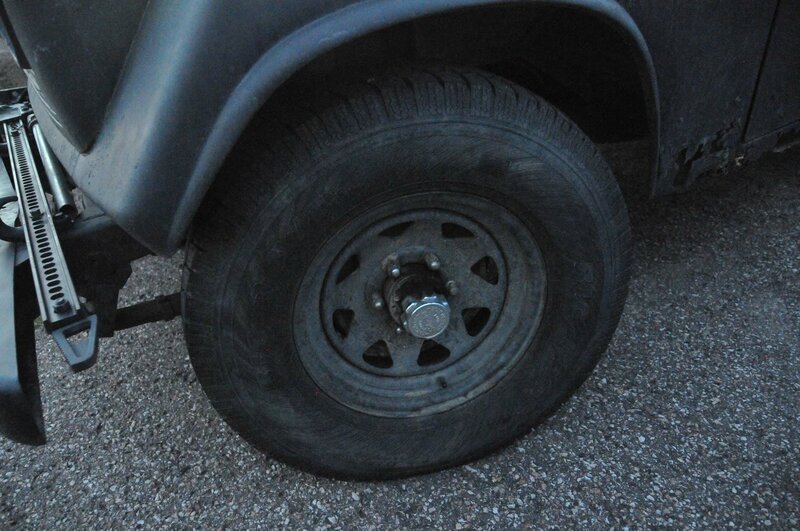 Drive 75 mph down the interstate for an hour just fine a couple weeks ago. 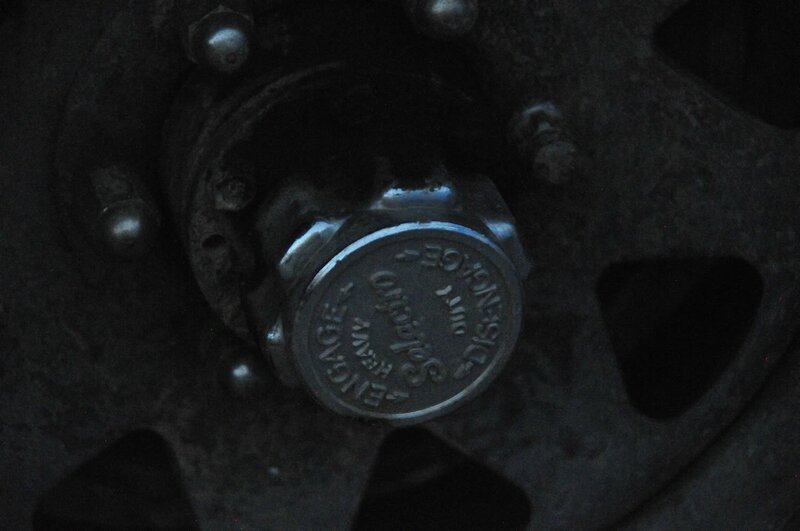 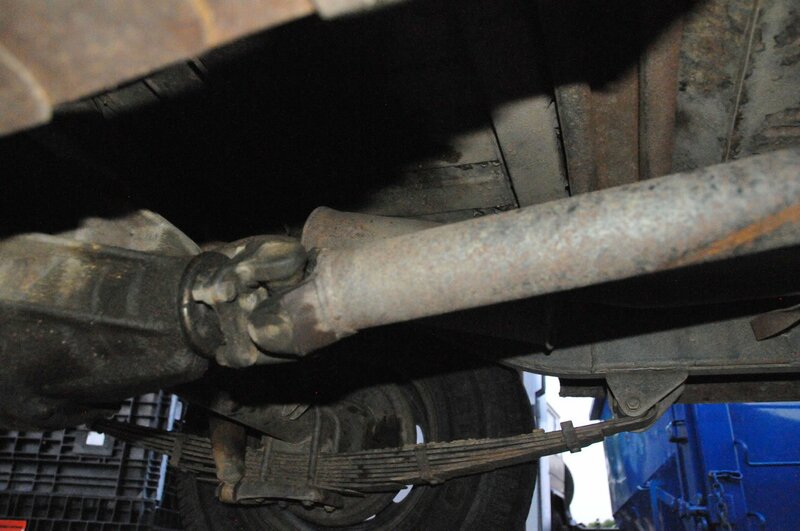 Will need brake work. 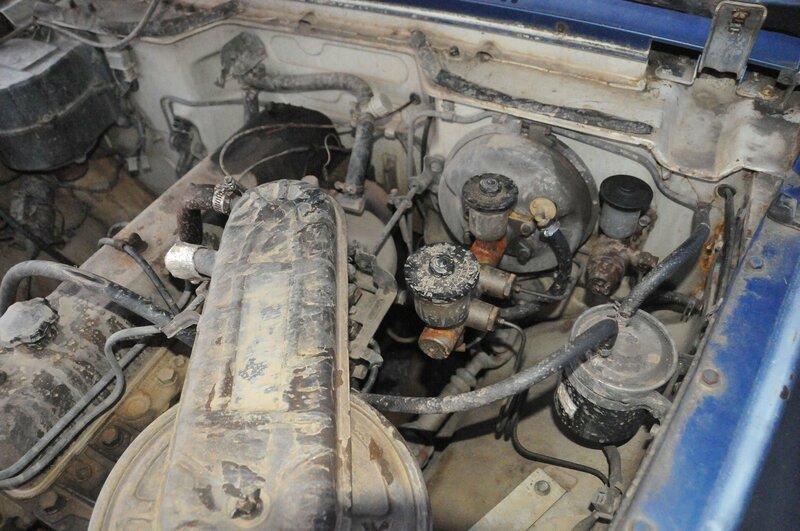 All original inside and out, with the factory carb and F engine. 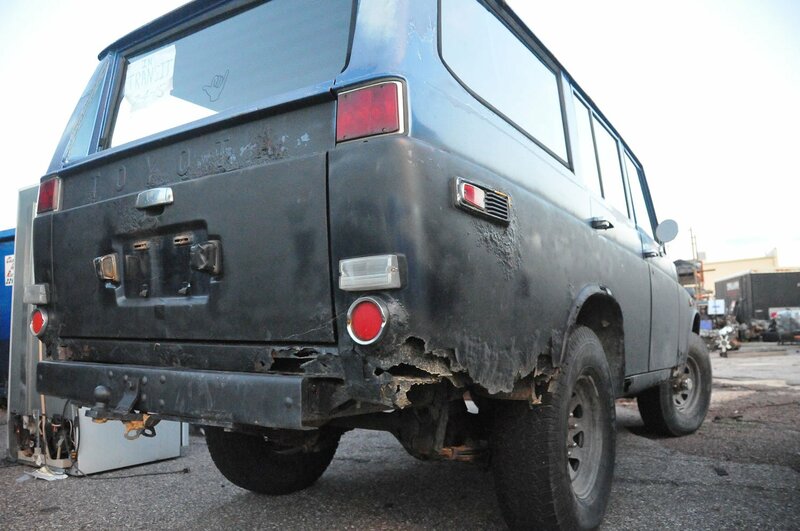 Located at Red Line Land Cruisers in Colorado Springs. 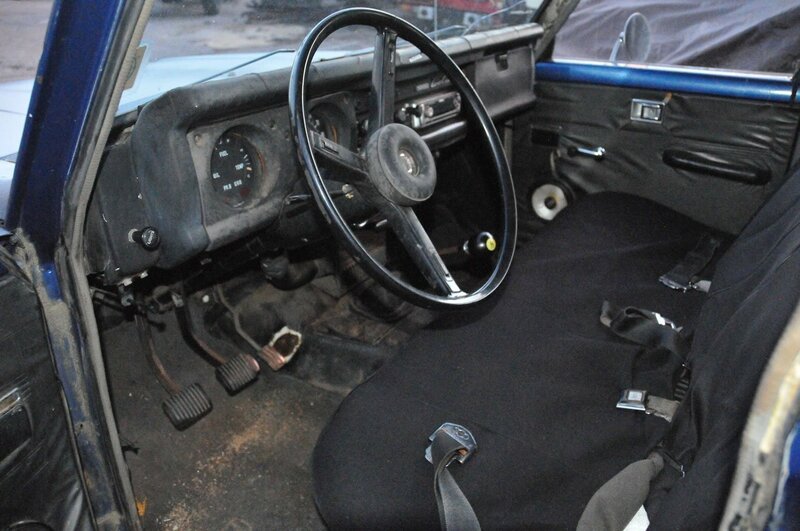 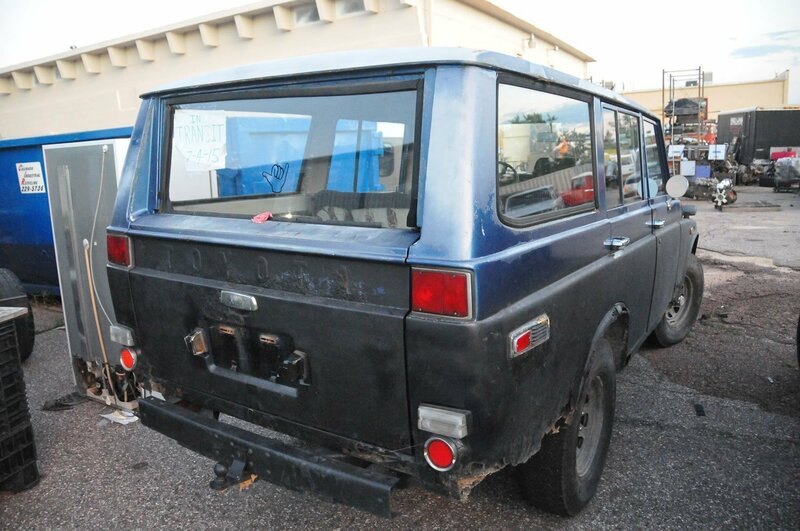 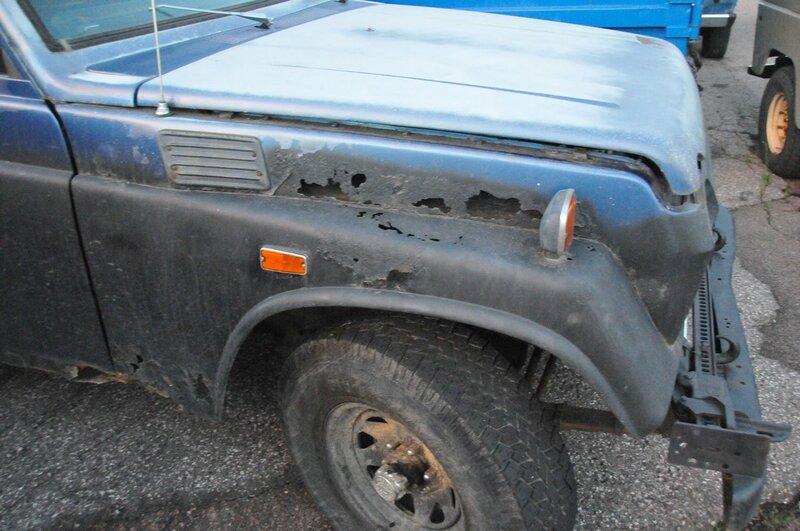 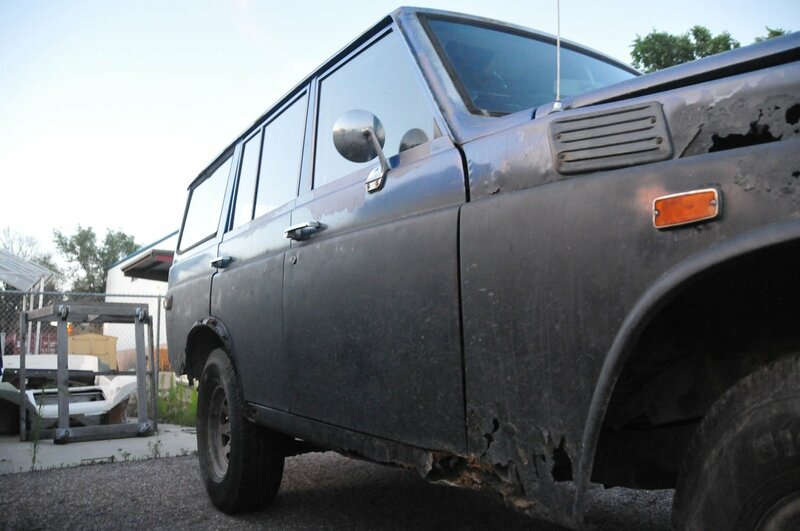 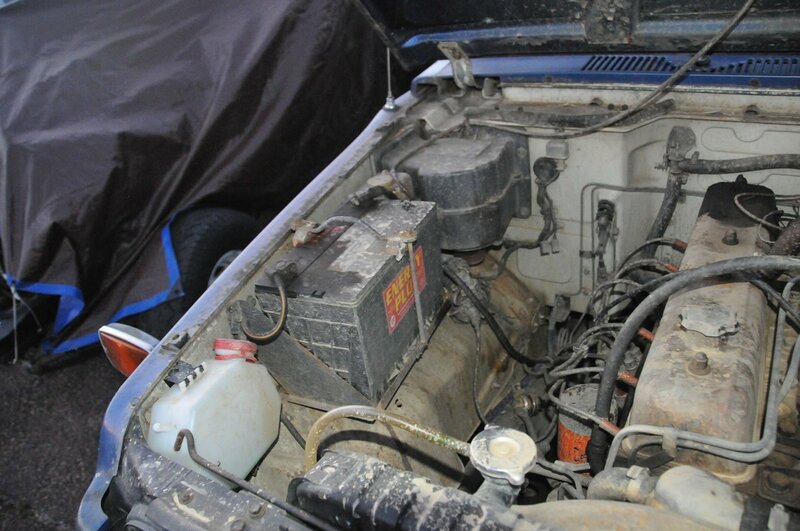 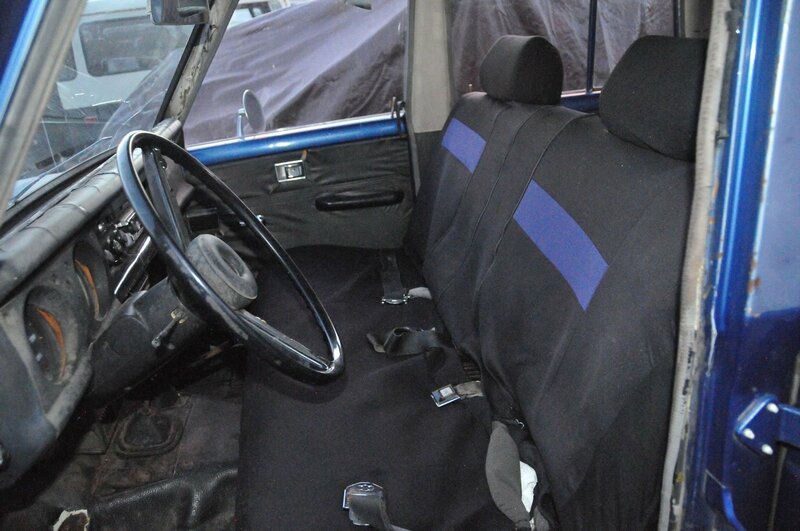 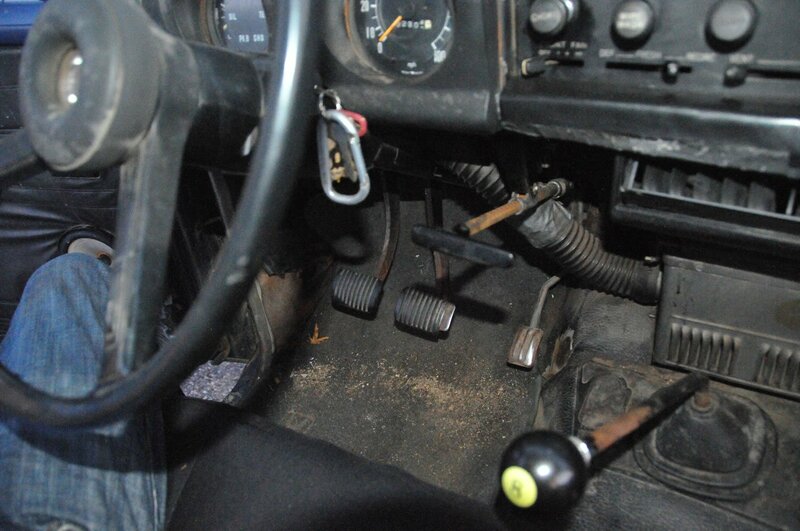 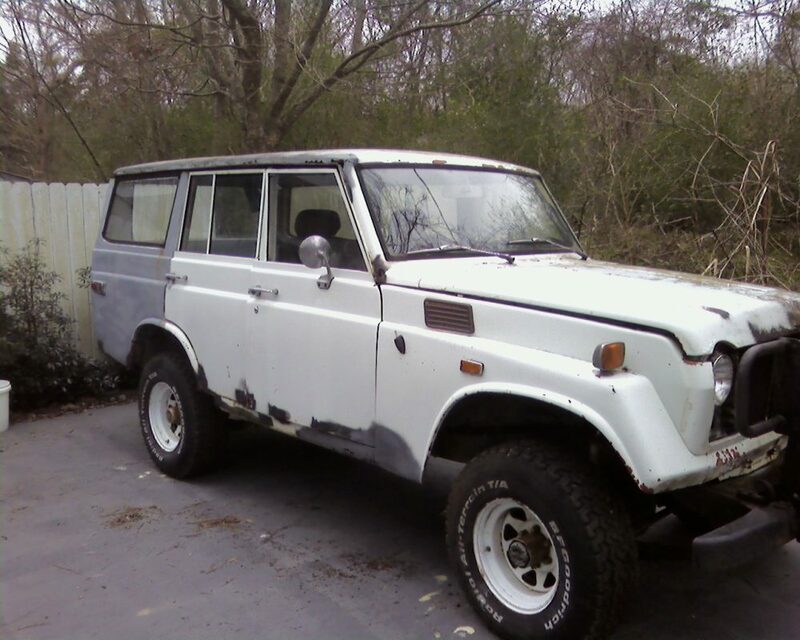 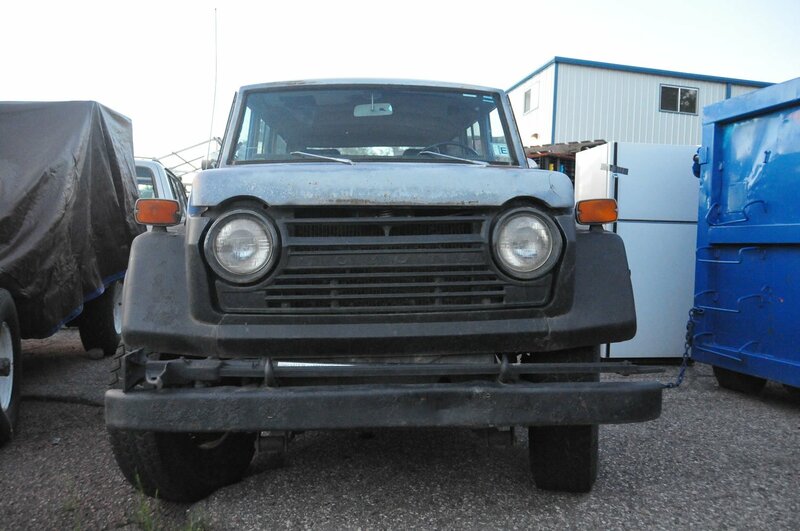 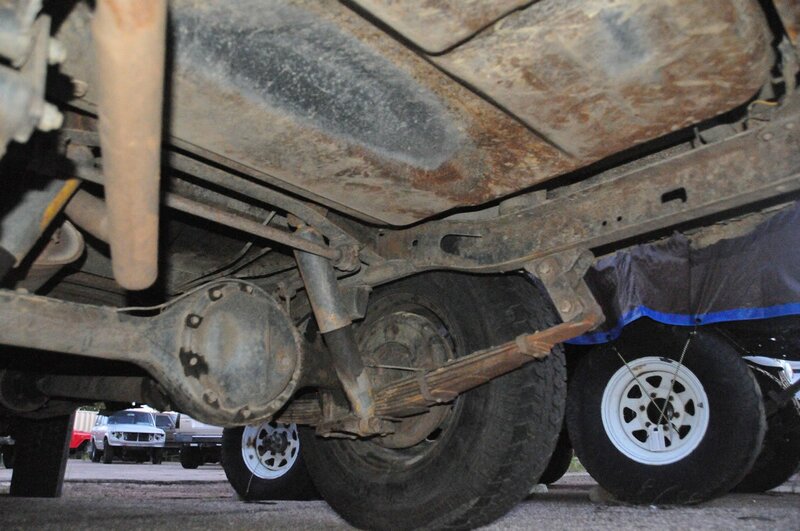 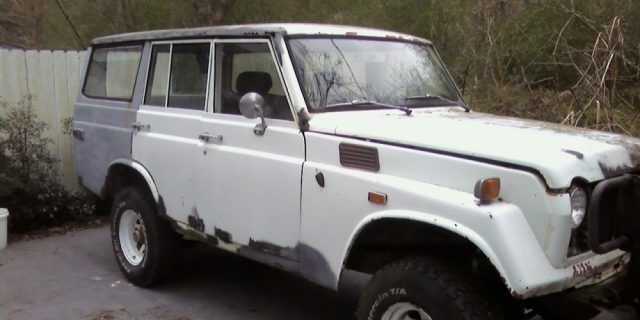 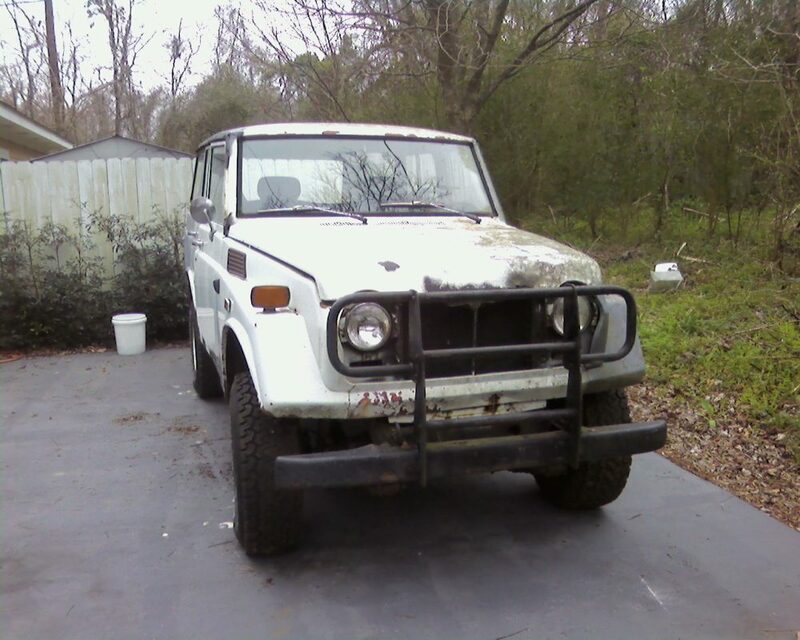 To inquire about this 1974 FJ55 please fill out the form below, which will go to the seller. 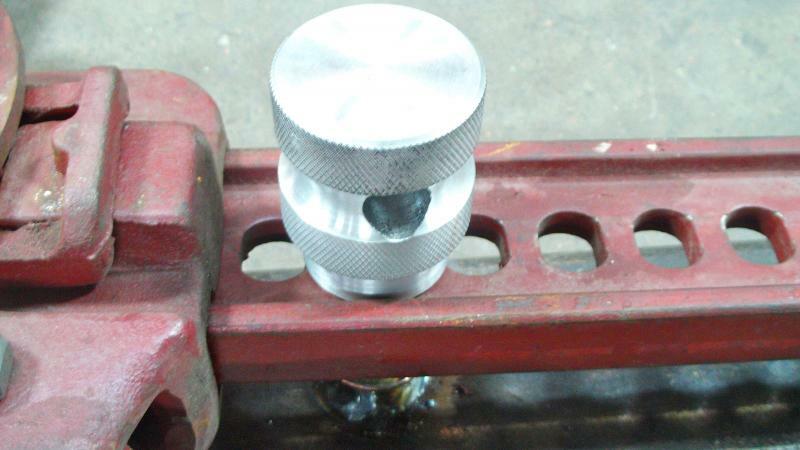 If you can’t see the form, you can also access the form here. 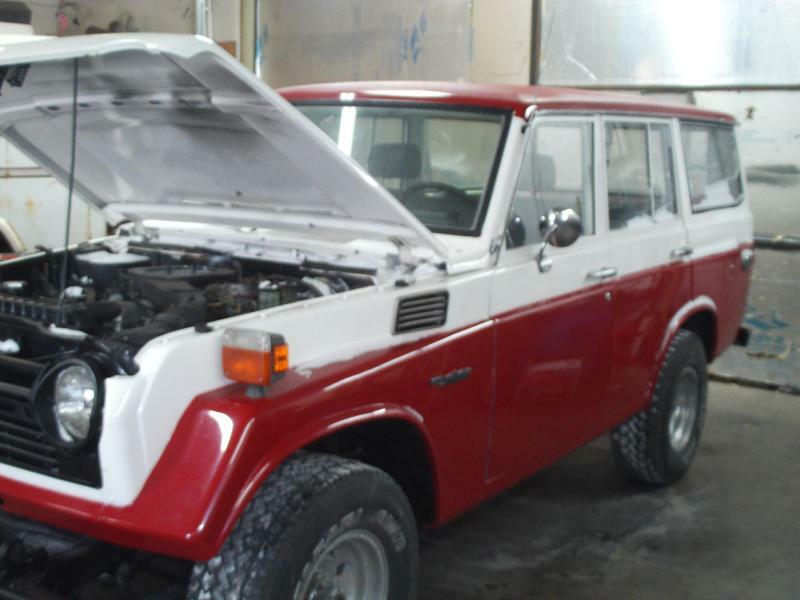 Dubed Project “Cobb’s Pig” is a 1978 Resto Mod Toyota Landcruiser that is in the process of getting “Red Line Resto Modded”. 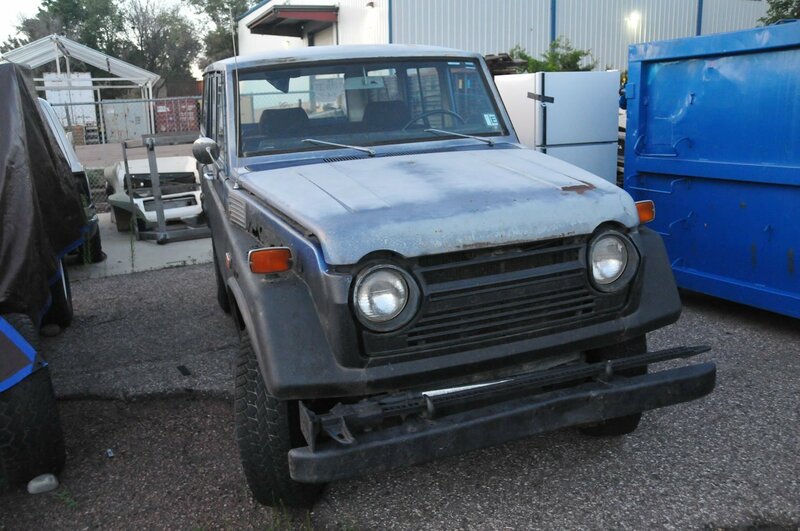 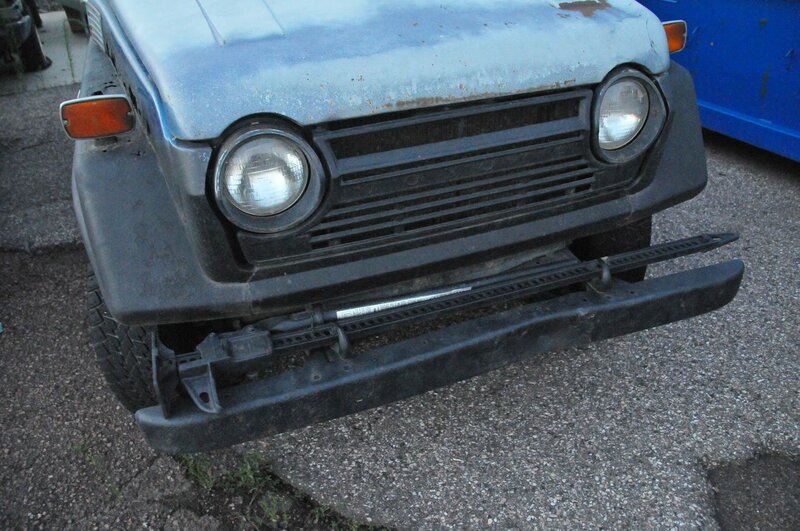 This little FJ-55 was in died need of some TLC. 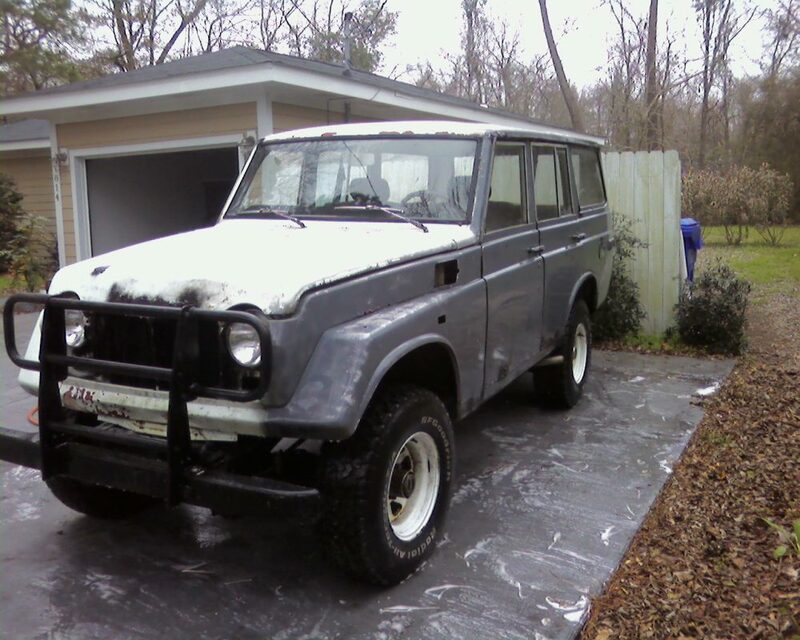 We have used 3 FJ-55’s to get this Pig in a final Resto quality stage. 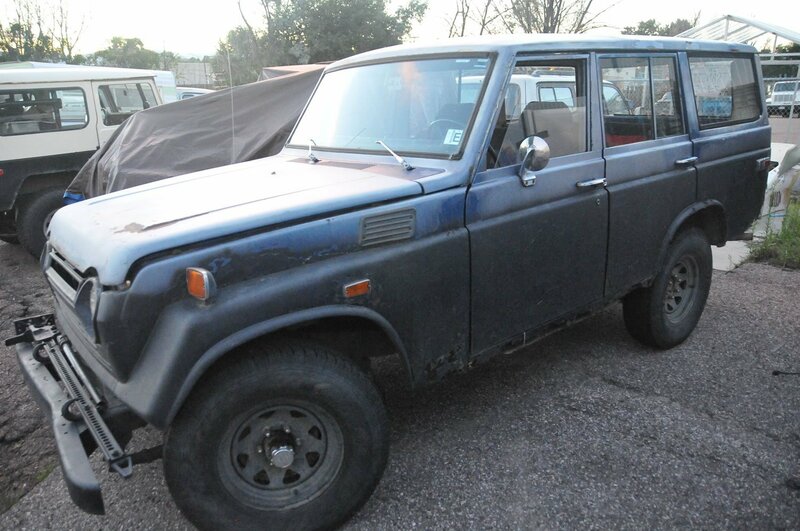 As most cruiser heads know the 1978 and 1979 FJ-55’s are very hard to find. 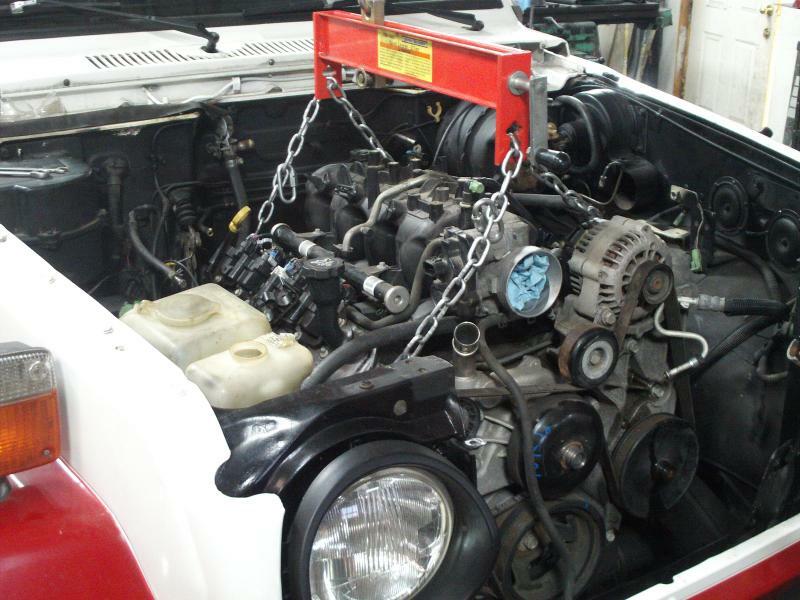 Red Line Performed A 350 H.P. 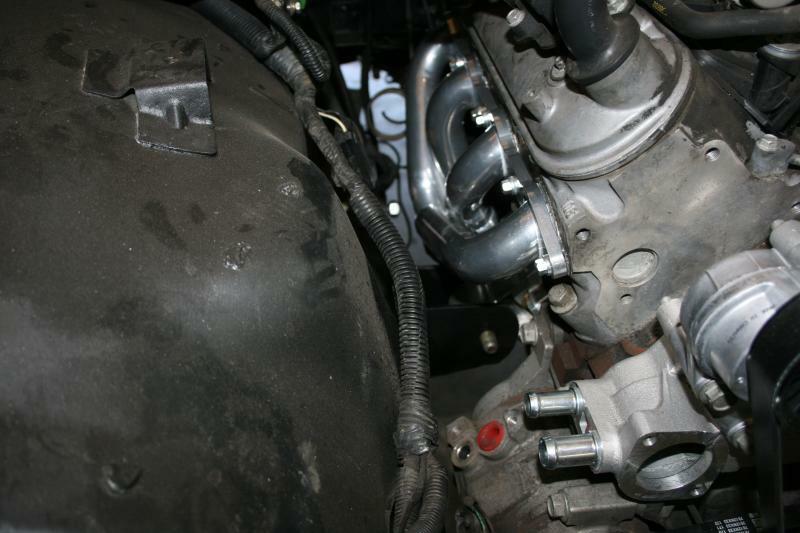 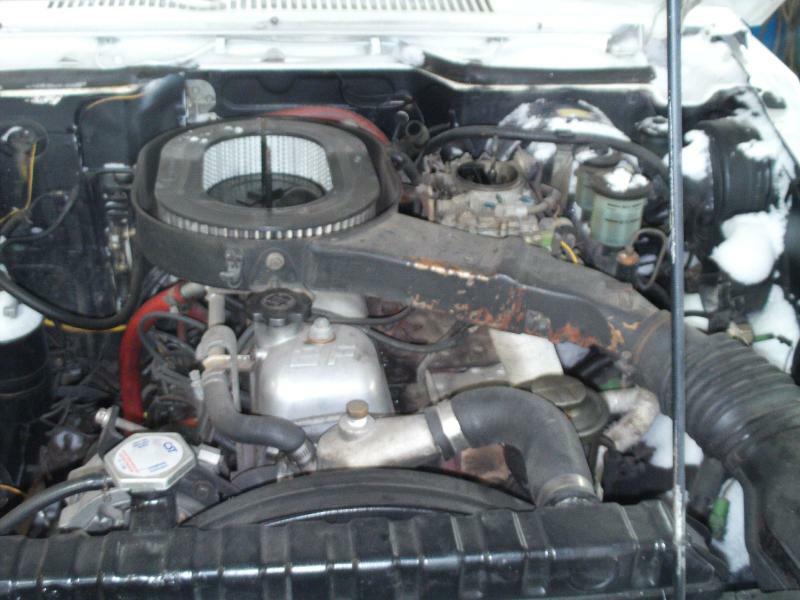 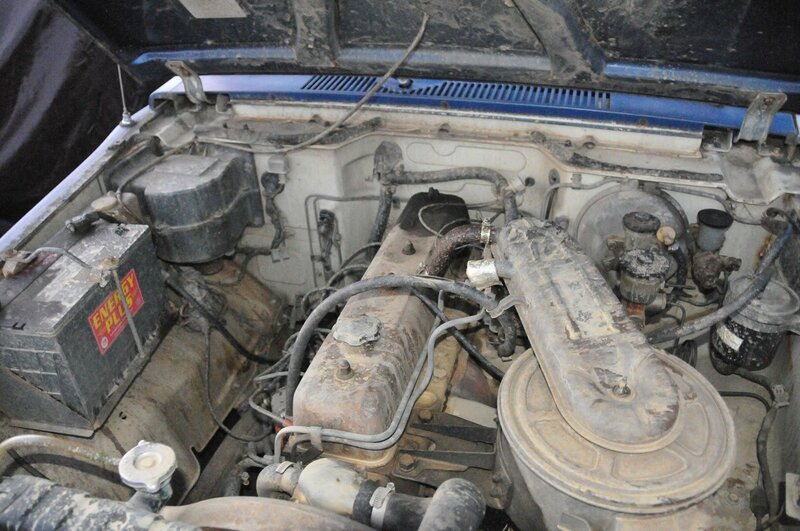 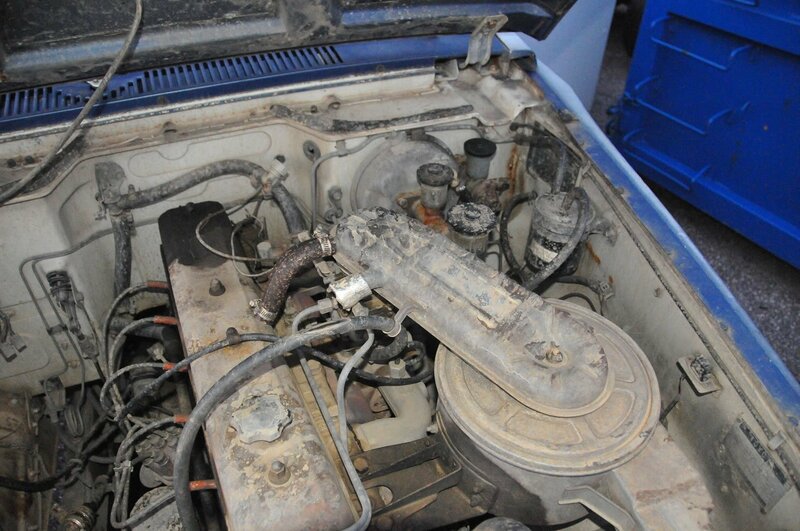 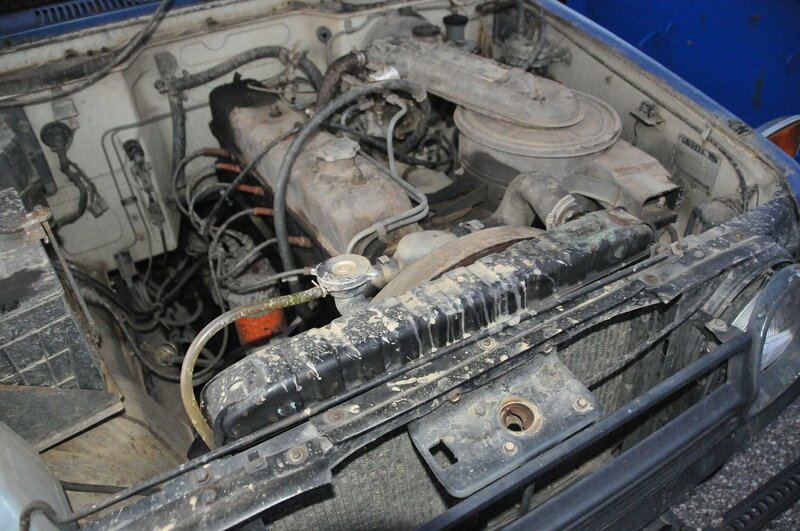 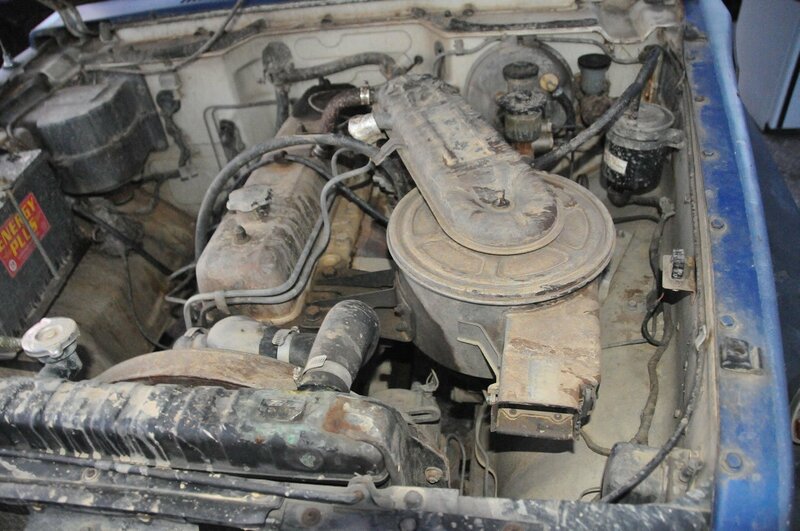 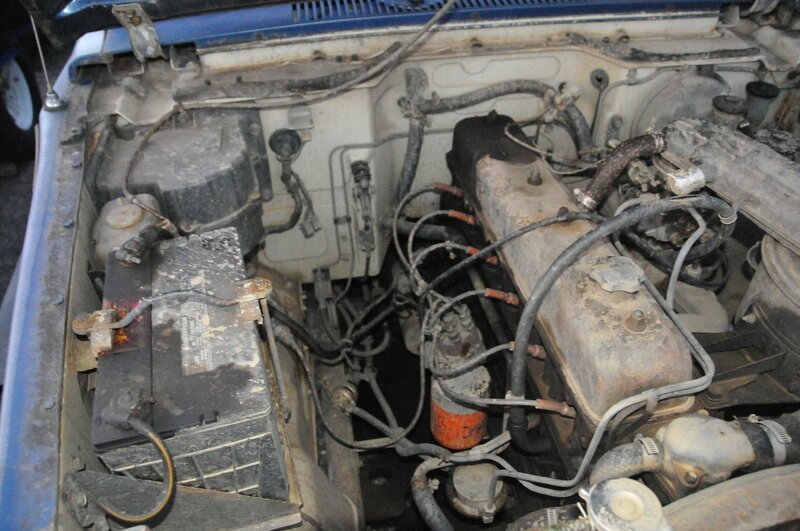 5.3L LS series V8 mated to a 4L60E, Conversion. 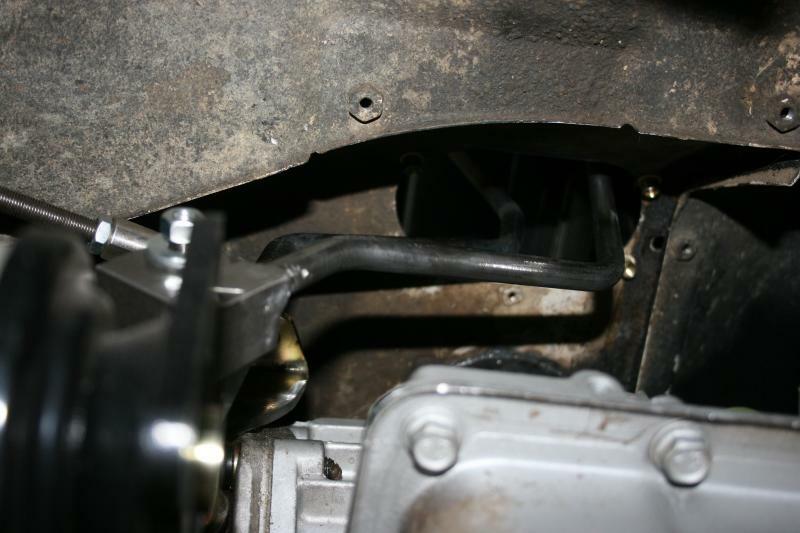 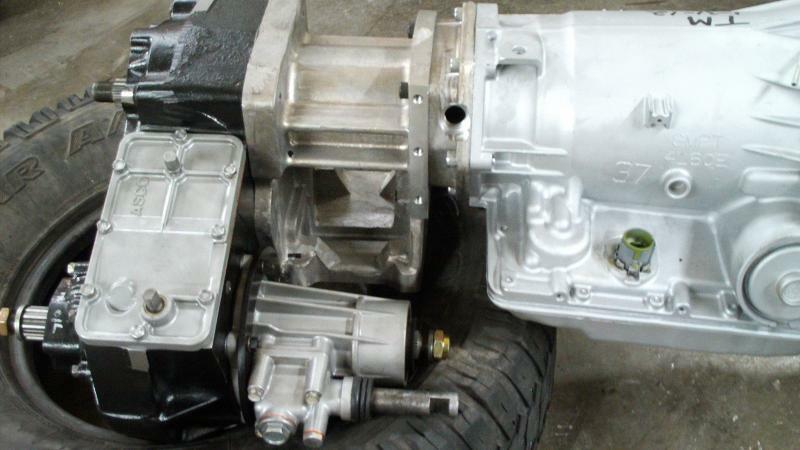 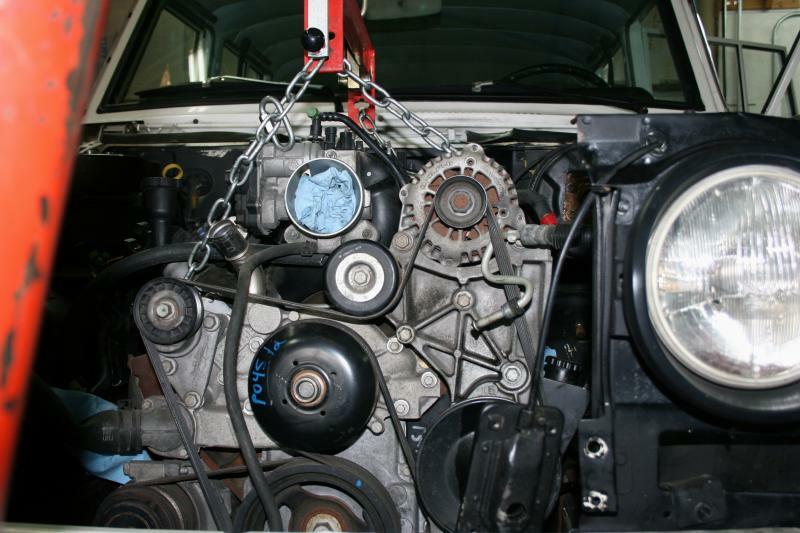 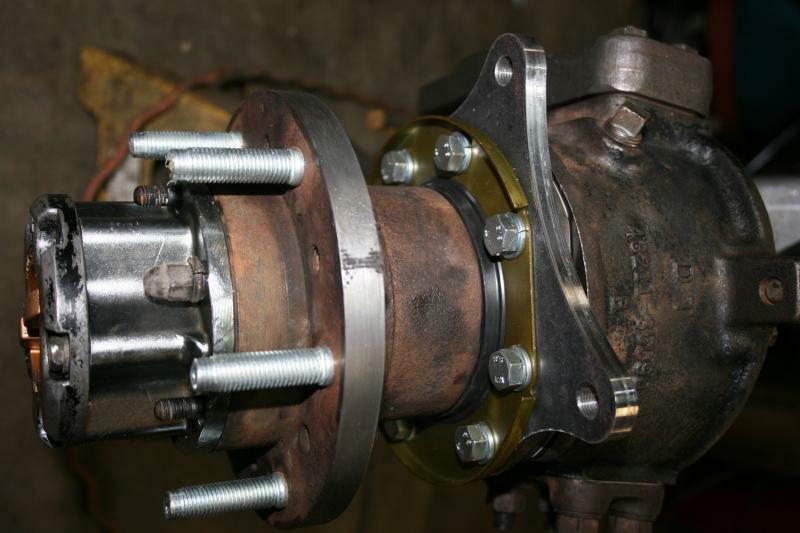 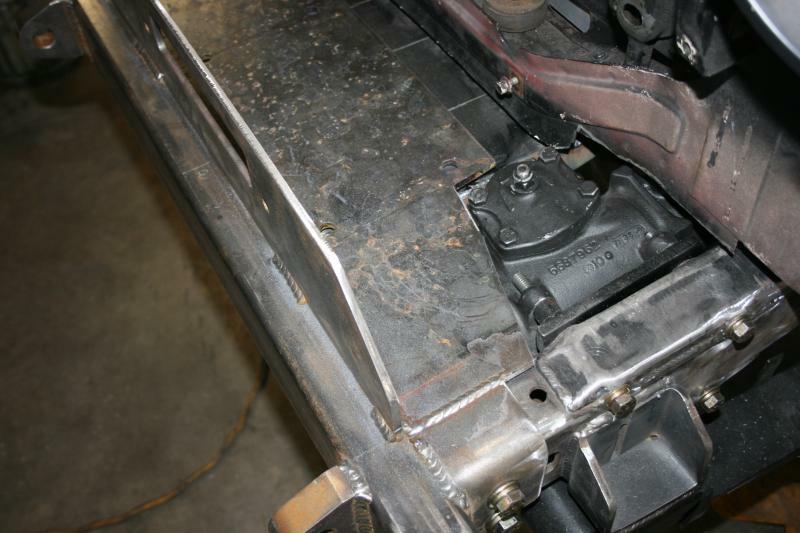 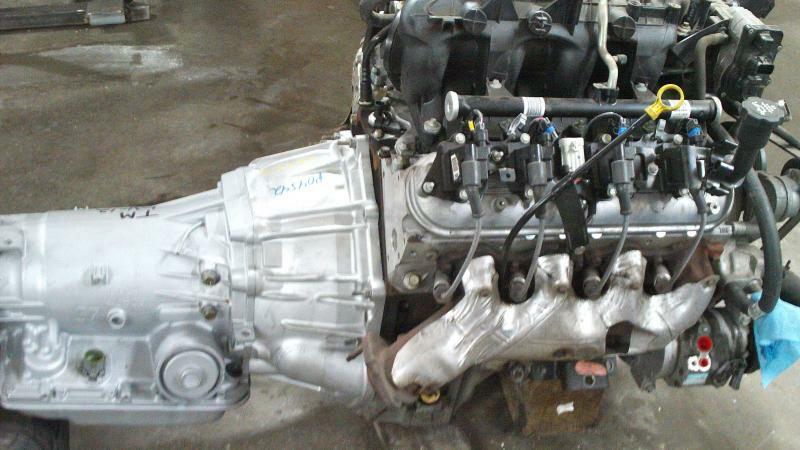 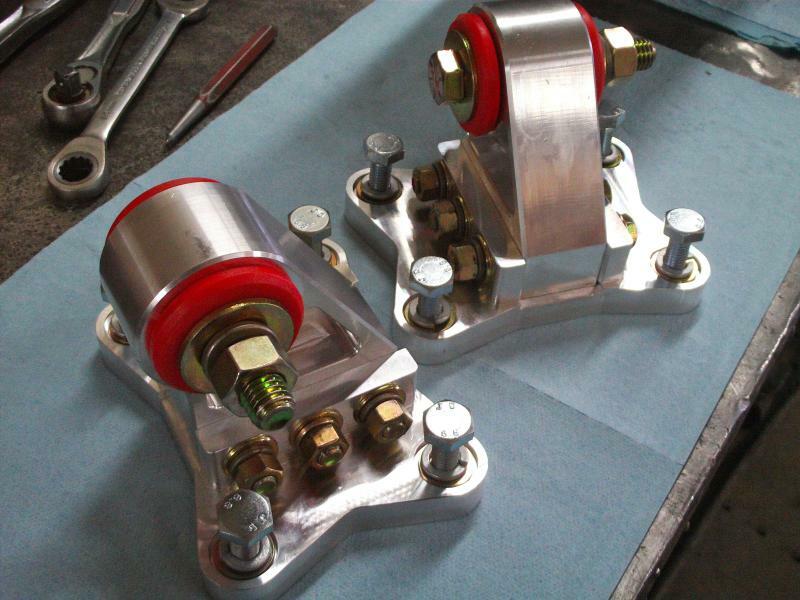 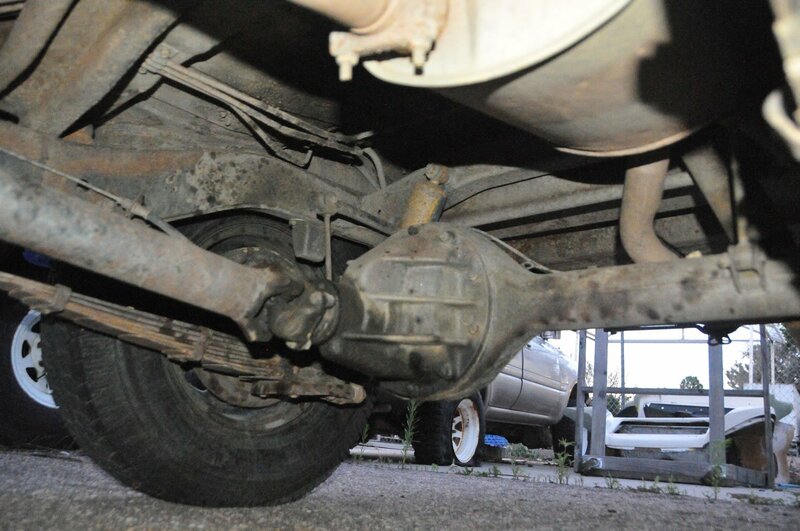 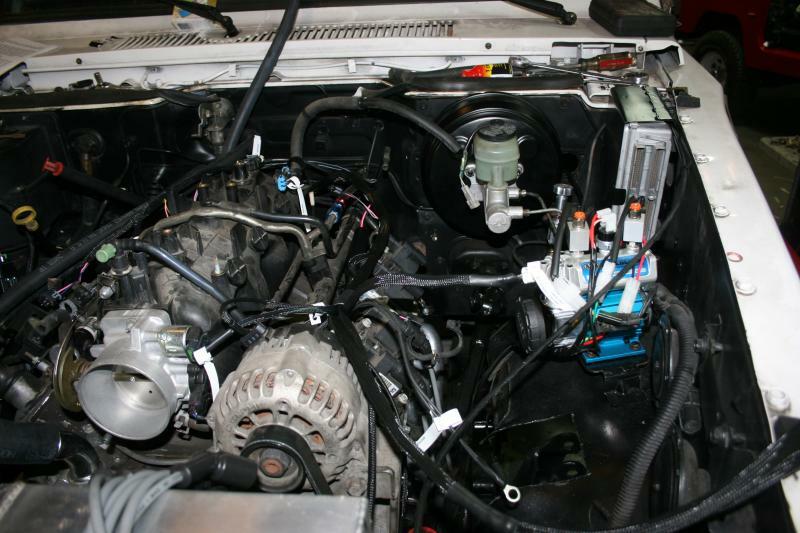 The Toyota 4 speed transfer case was stripped down bead blasted and clear coated before we rebuilt the unit! 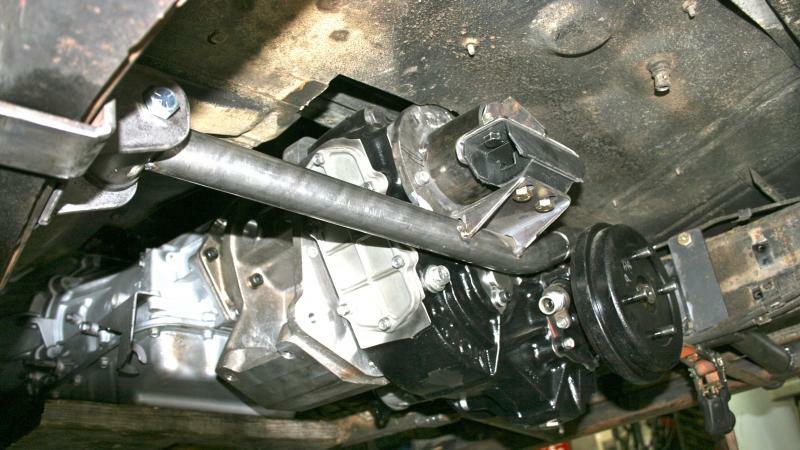 Red line is keeping open Diff’s and 4:10 gears in the axles. 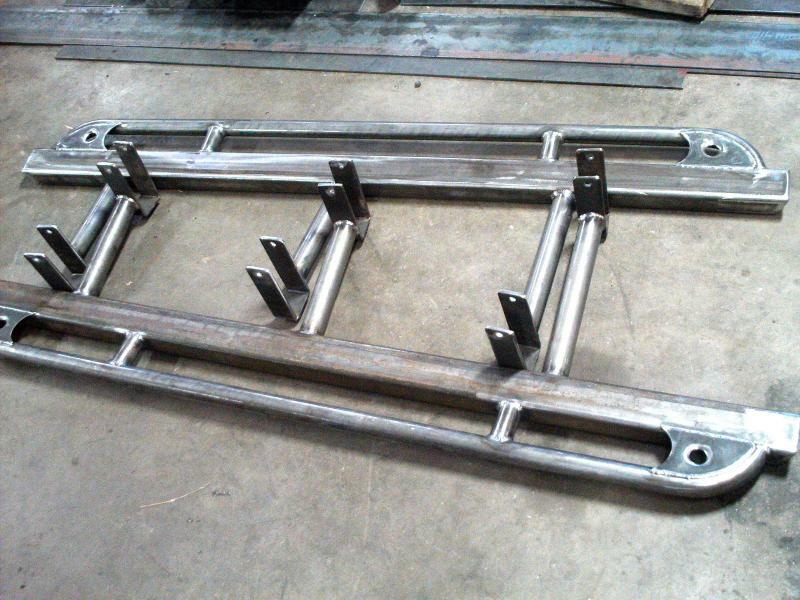 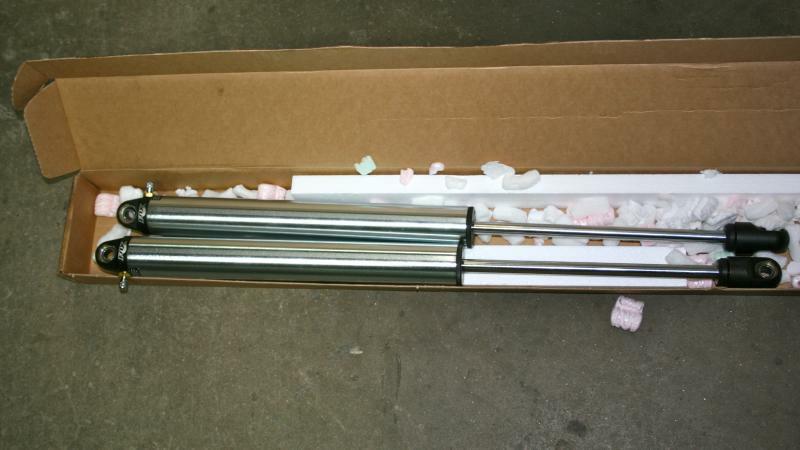 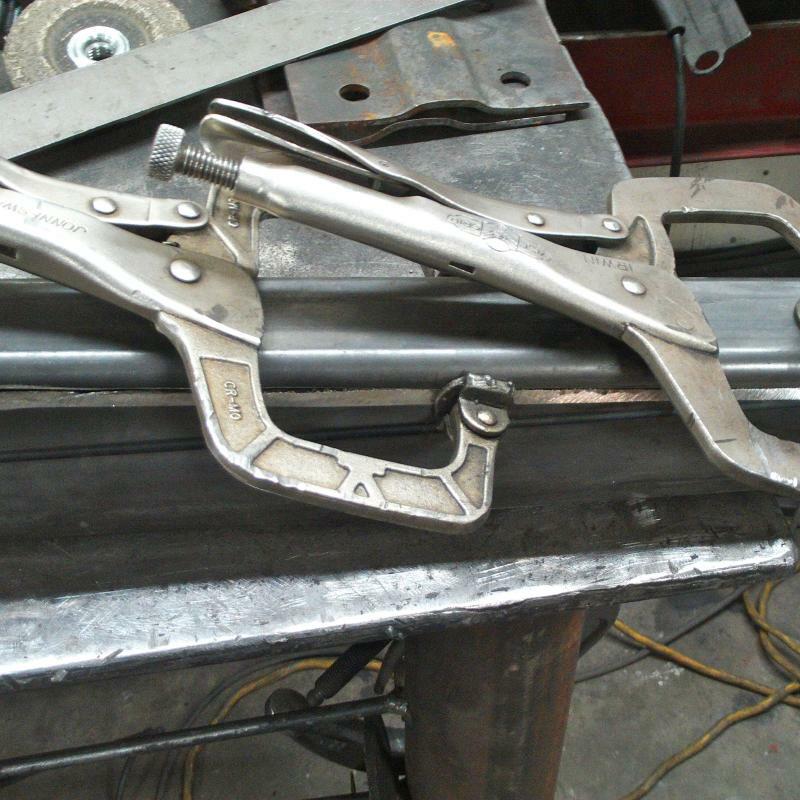 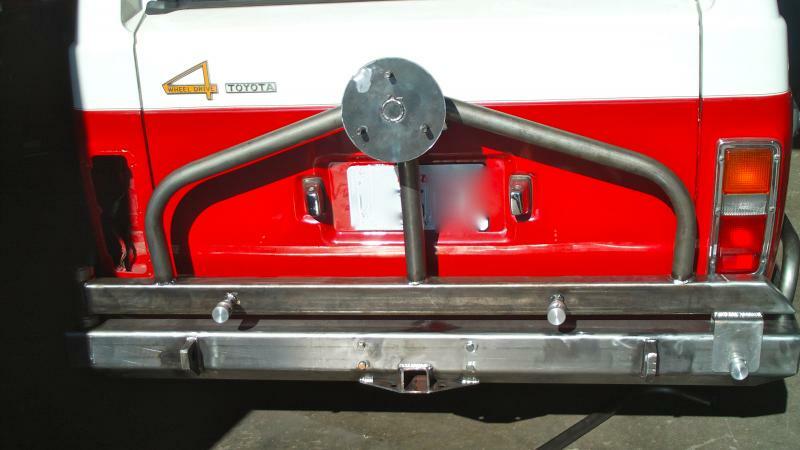 All components including the frame, axles and other items have been powder coated for longevity! 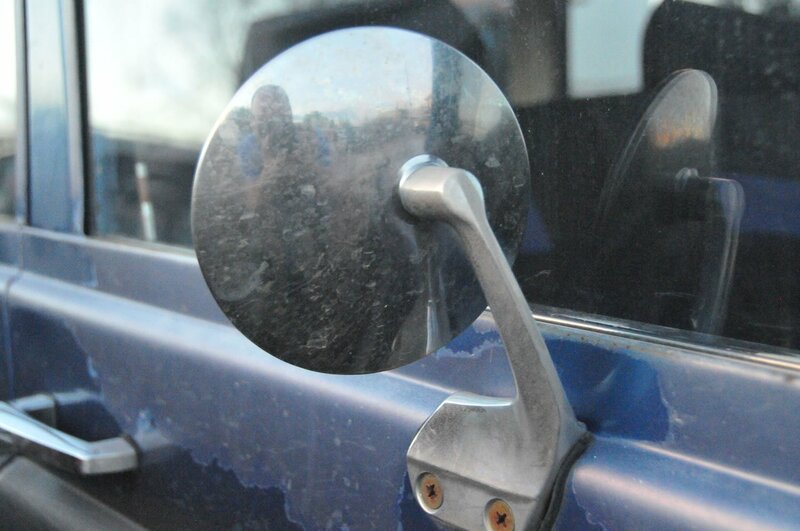 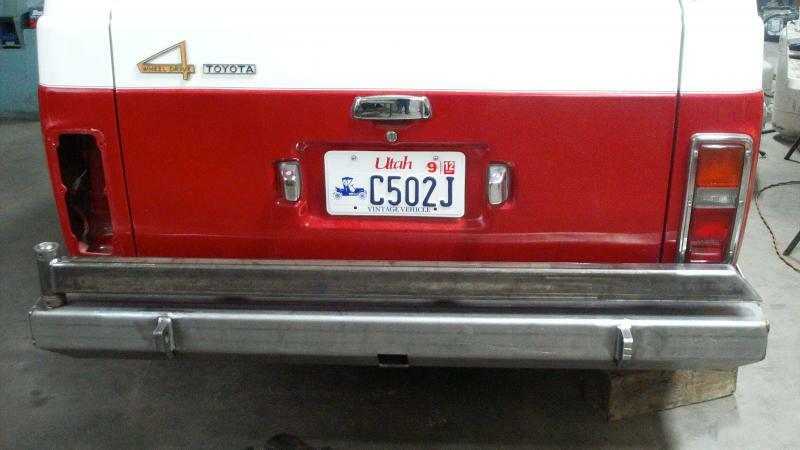 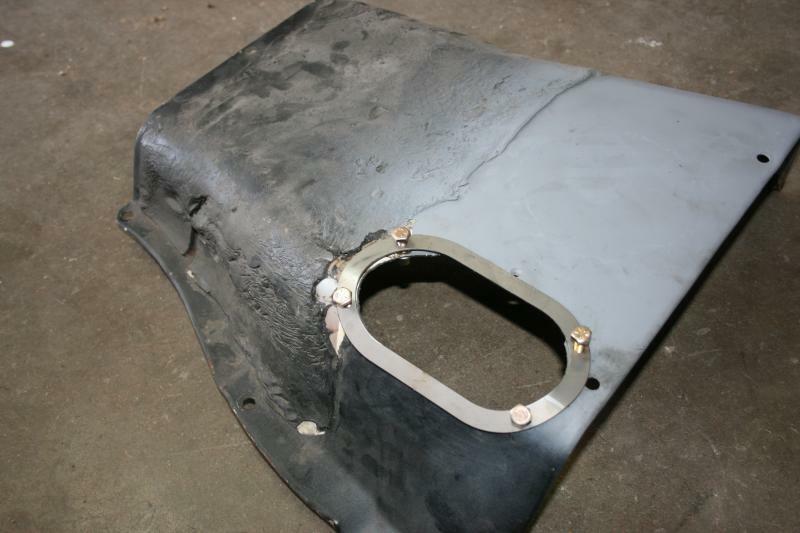 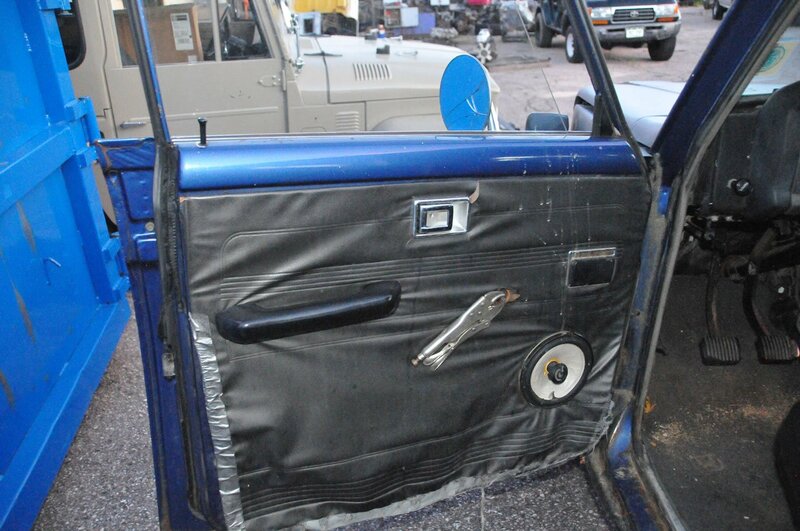 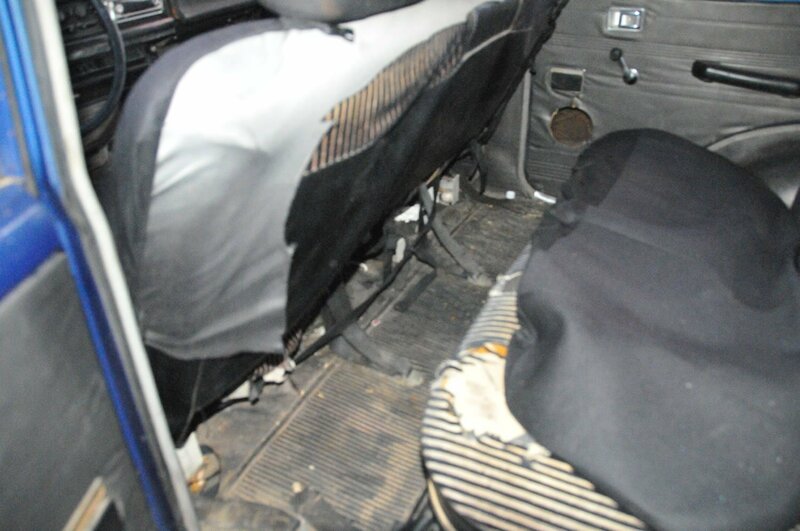 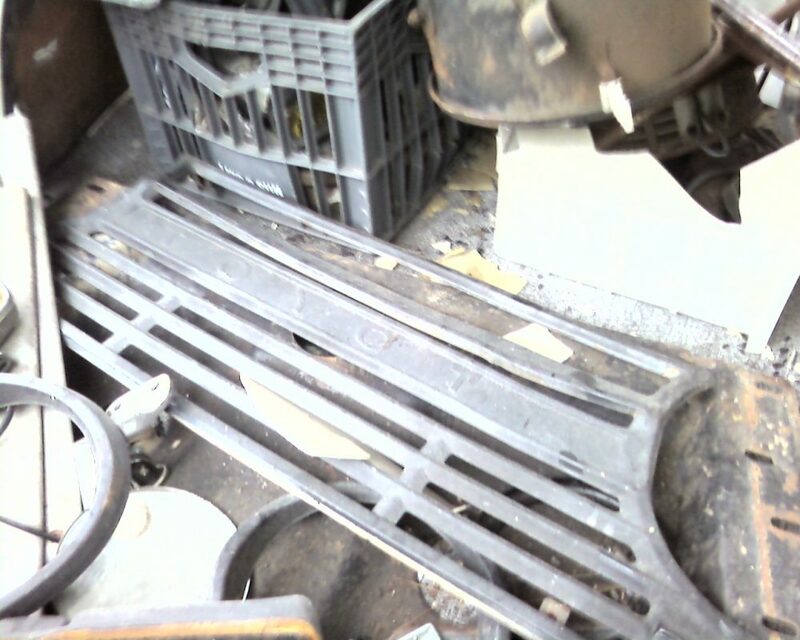 All new window gaskets and weatherstripping has been installed for the doors, tailgate and windows. 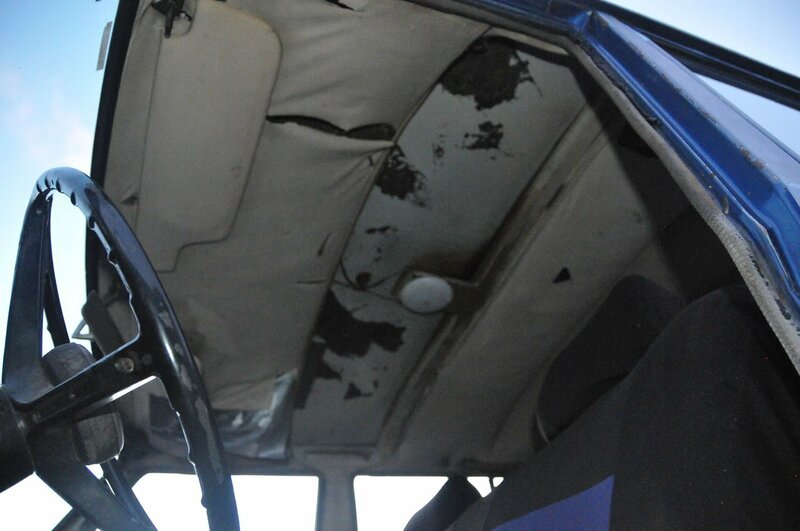 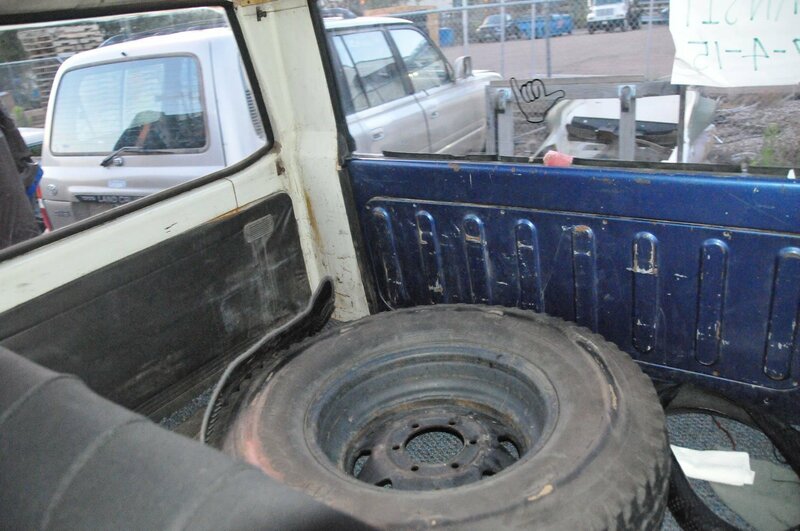 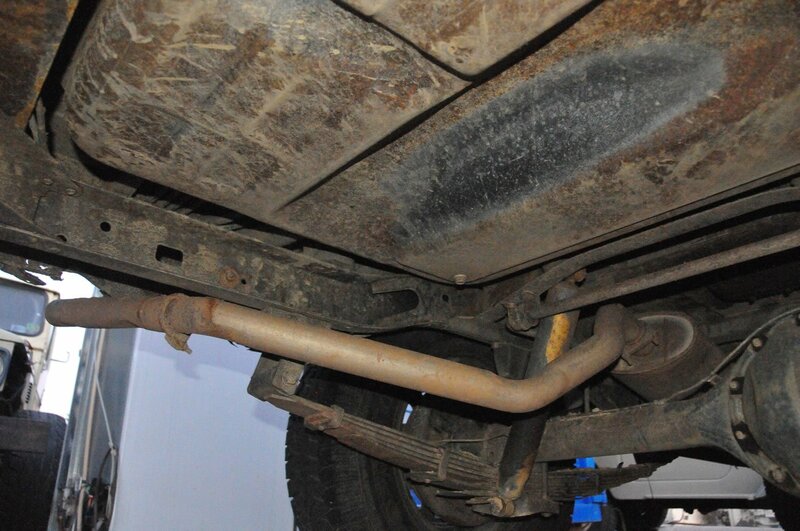 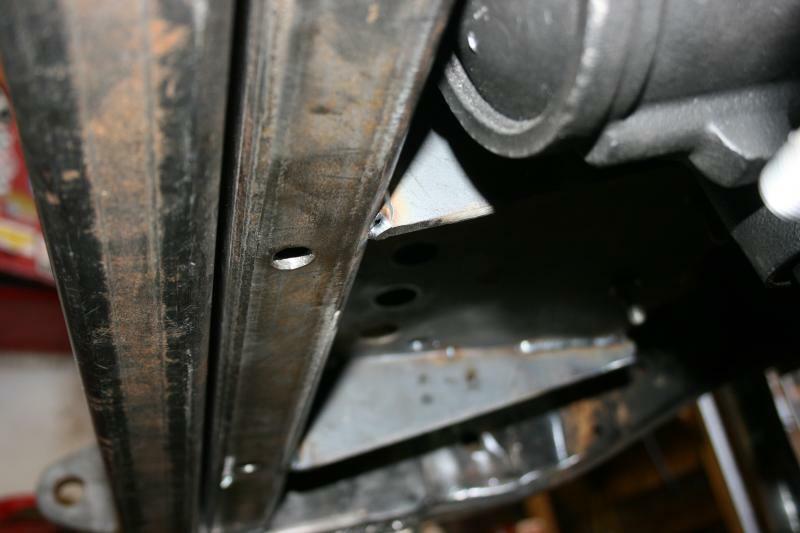 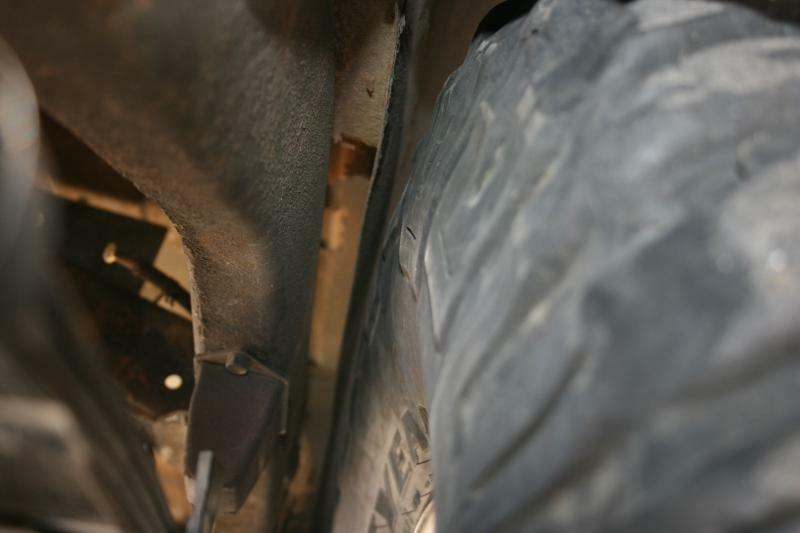 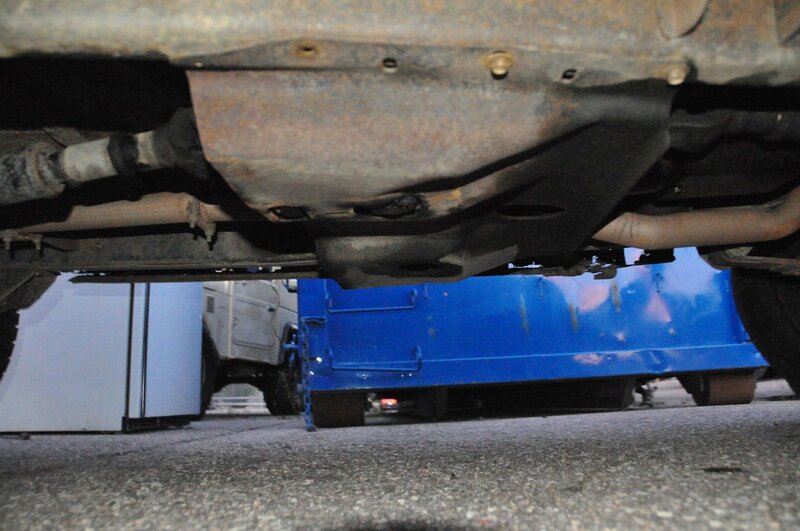 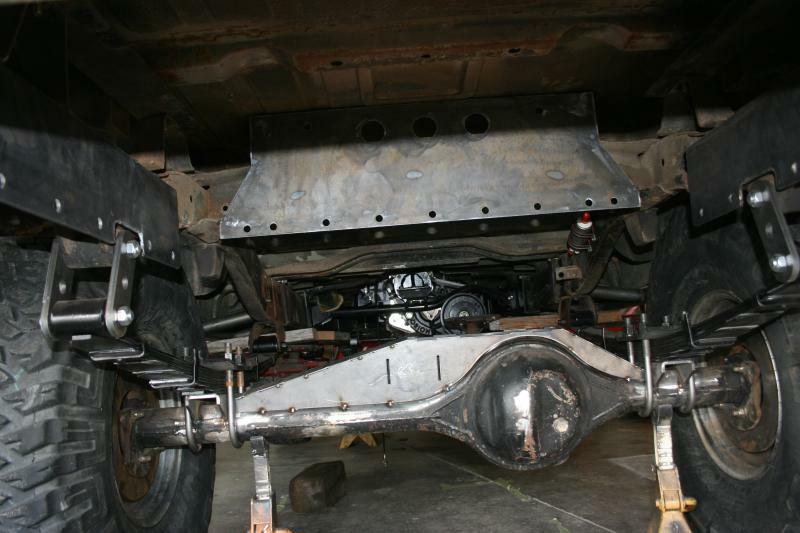 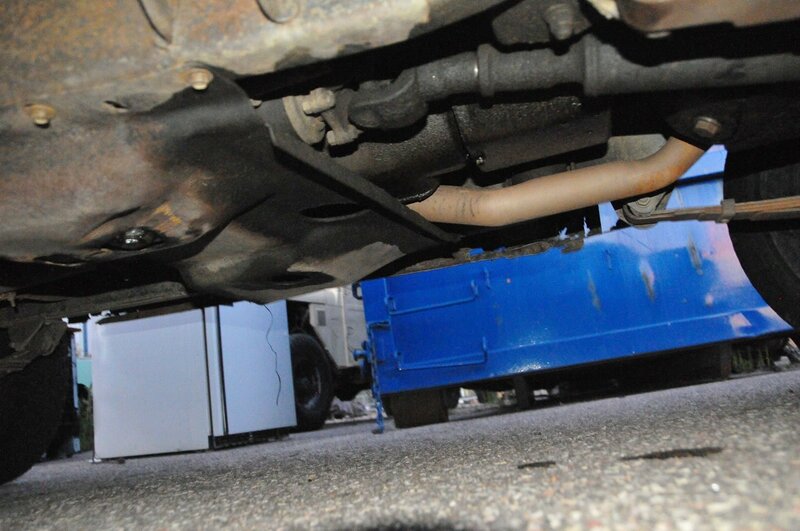 For the interior we line-x’d the underside and inside of the cab for extra rust and noise protection. 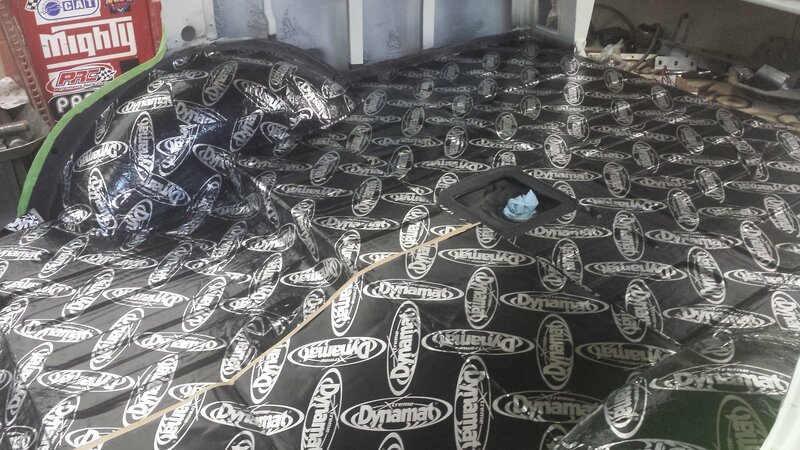 On top of the Line-x we installed Dynamat extreme. 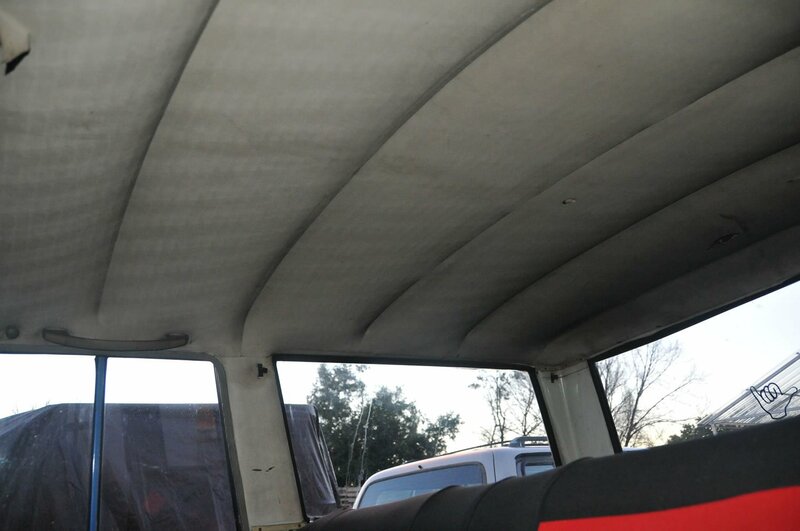 This ensures a better noise reduction inside during operation, not only did the floor get this treatment, but we installed dynamite extreme inside all the doors, tailgate, firewall, rear 1/4 panels and even the roof! 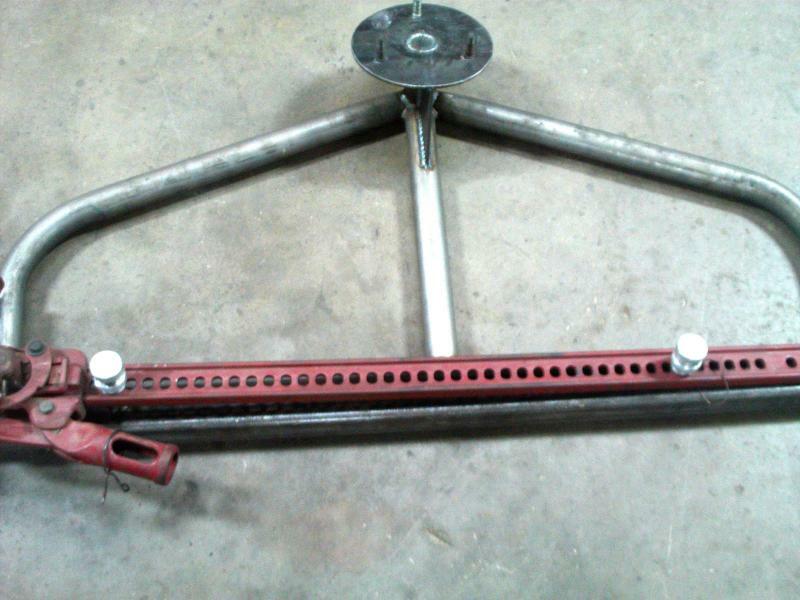 She is sure to be nice and quiet! 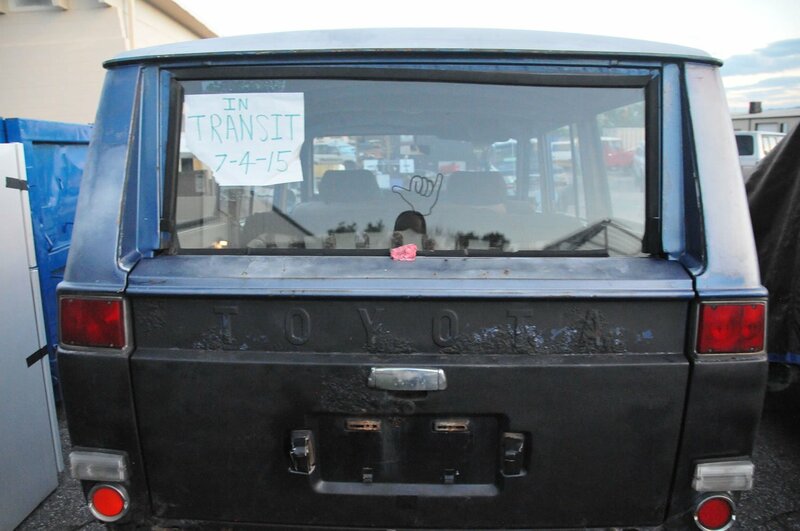 A new headliner, custom carpet, custom door panels and refurbished factory bench seats will keep this FJ55 Resto Mod in an original feel! 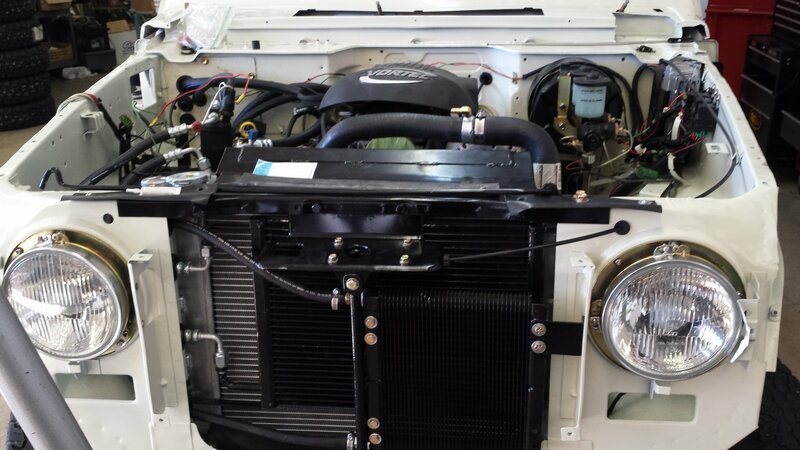 For the heat and A/C conversion we used a unit we have not tried yet. 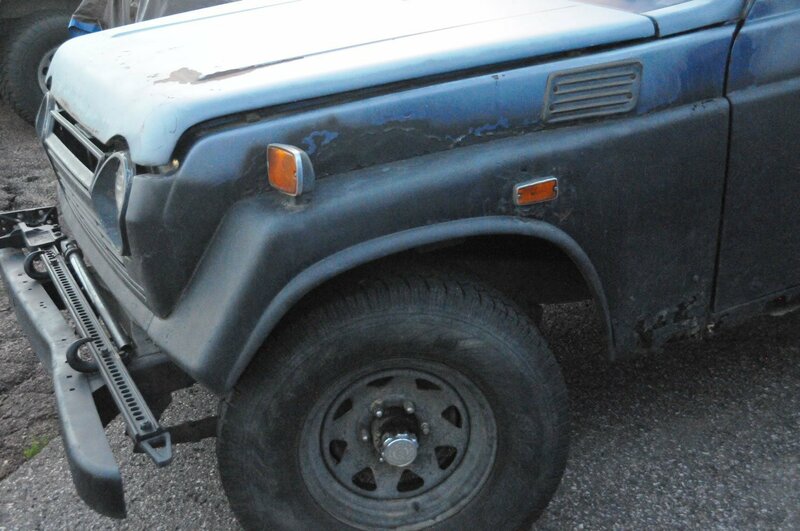 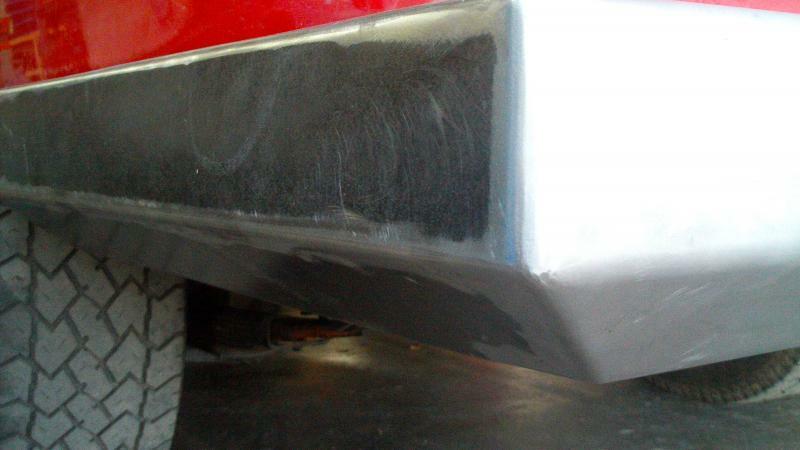 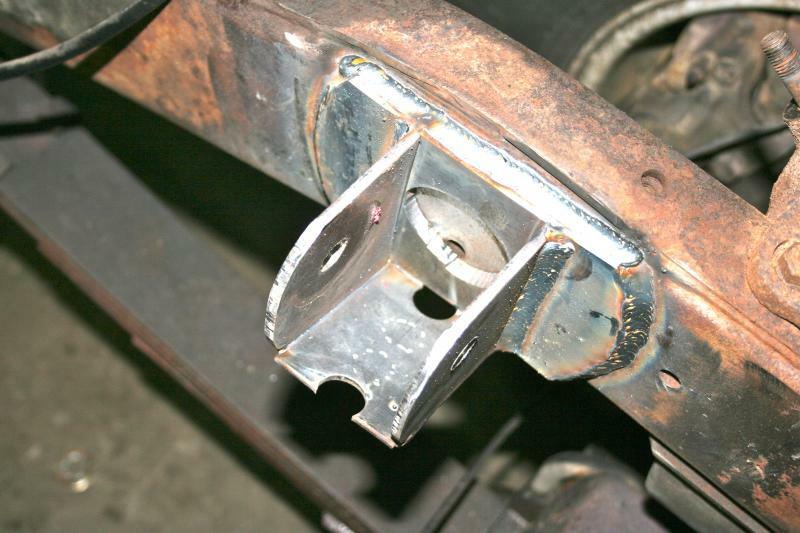 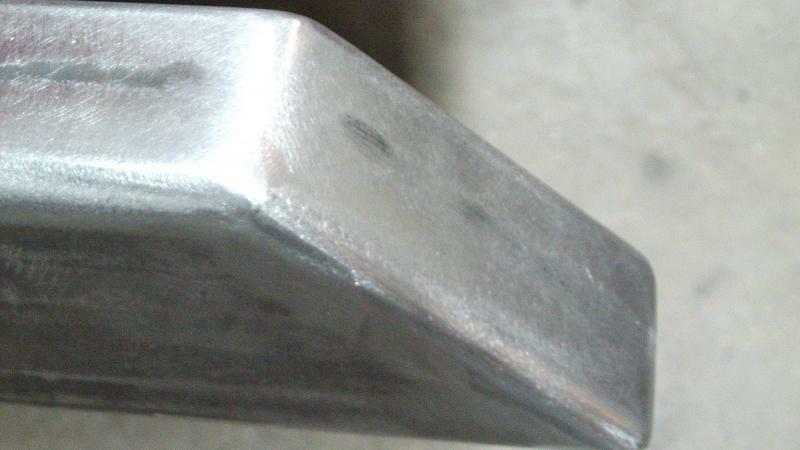 So far we think its perfect for the FJ-55 series. 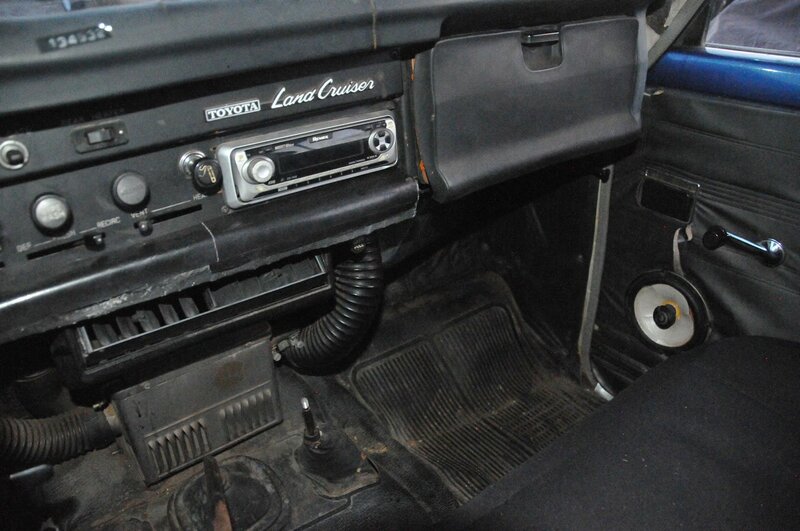 It tucked really nice into the inner firewall are under the glove box. 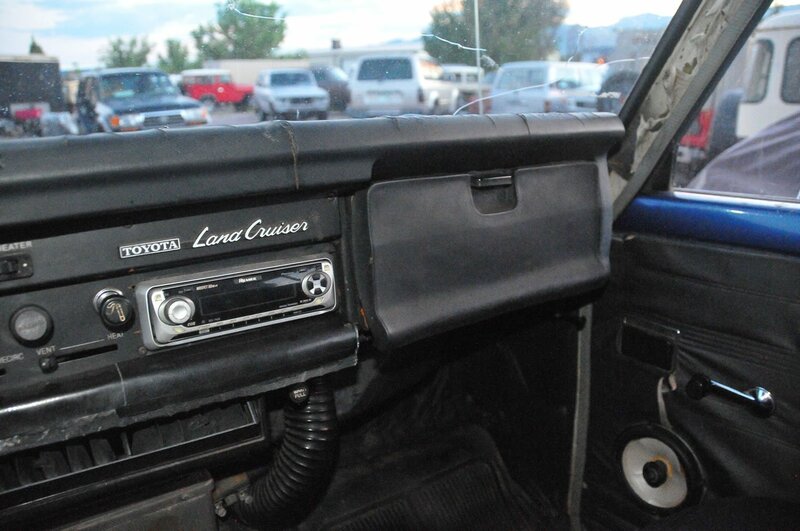 We then used electric controls set into a custom vent panel we crafted to keep an original feel inside, both visual and functional! 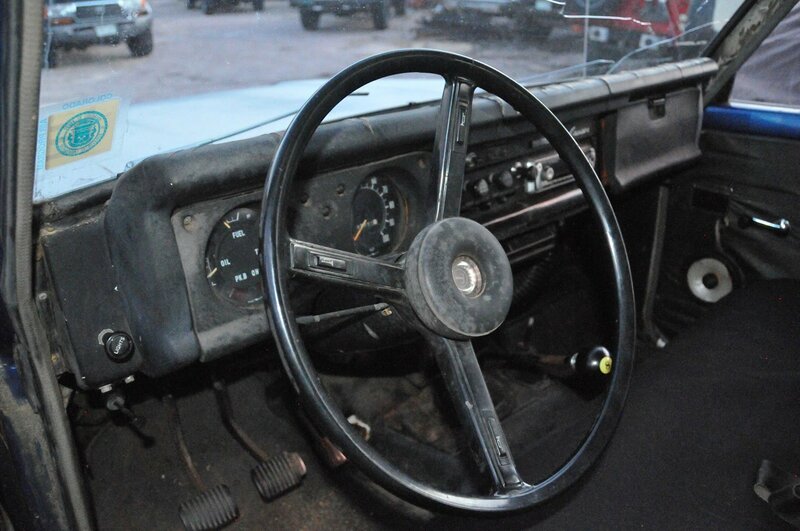 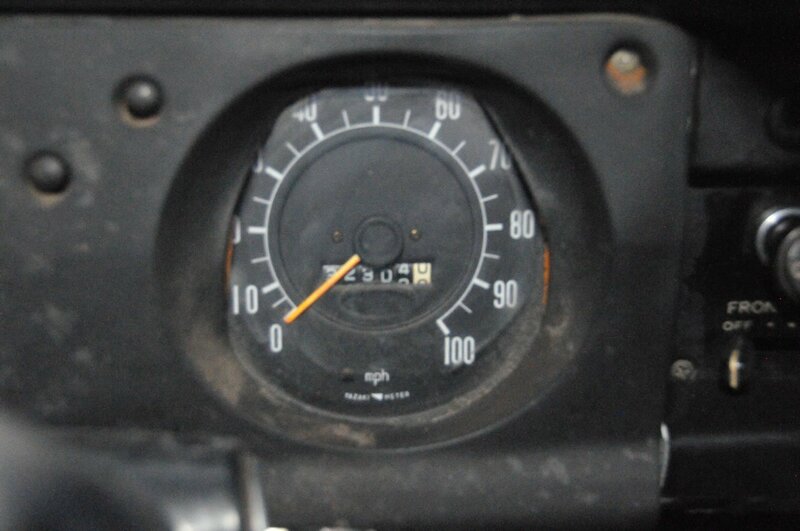 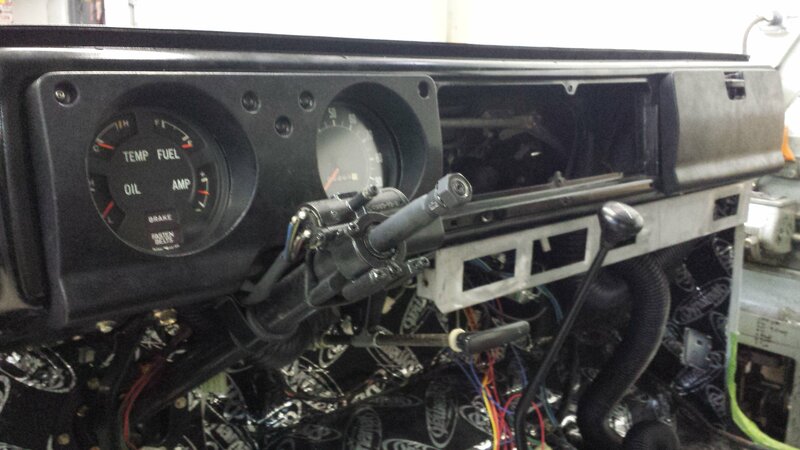 So far Red Line has refurbished all the gauges, and dash components to a factory setting as well as a very rare FJ-55 AM TEN dealer installed Radio! 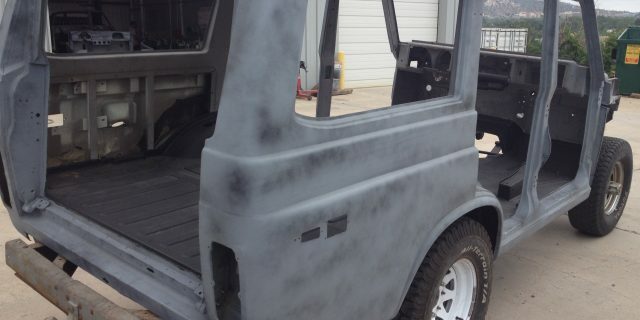 For the exterior we chose Factory Cygnus white and Sky Blue for the paint. 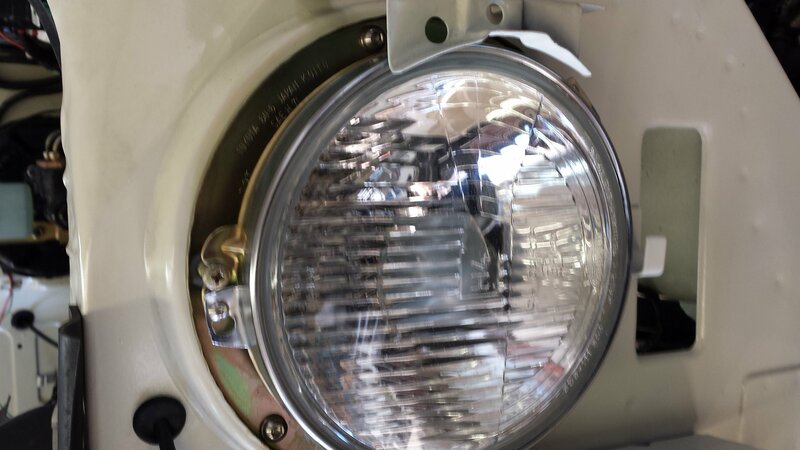 We know the white is supposed to be Lilly White, but we just can’t help ourselves with the classy Cygnus White. 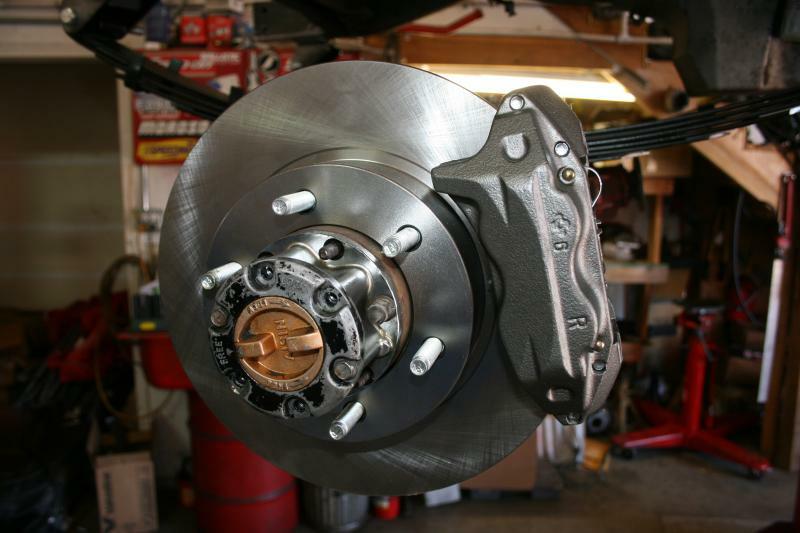 The wheels are Factory OEM Disc brake wheels painted in Cygnus White. 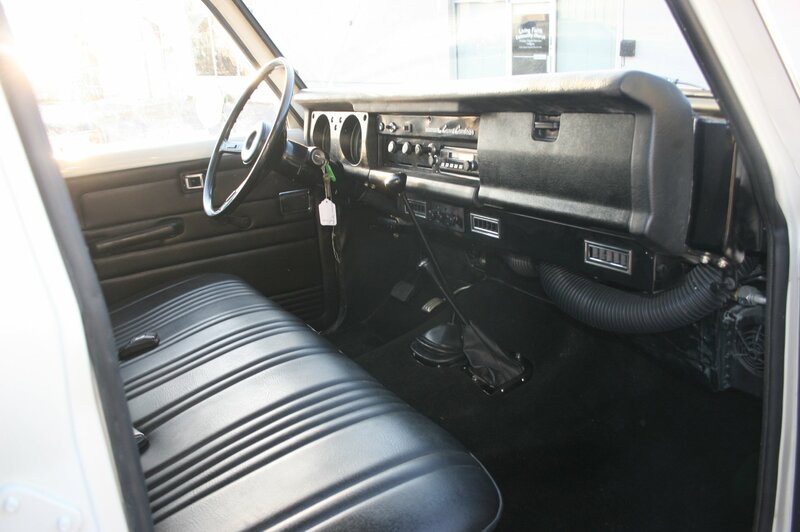 Again We can’t help ourselves, we had to mix it up and we think it adds a little class and style to the truck. 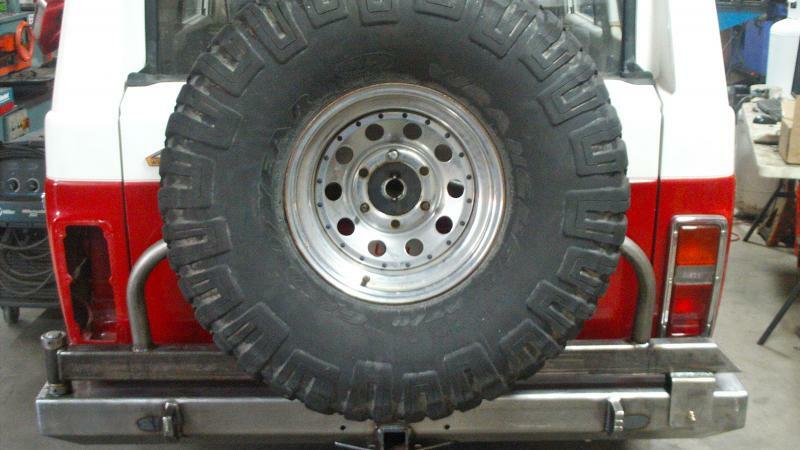 Factory hub caps finish the wheels and the tires are going to be 33 x 10.50 x 15″ At tires! 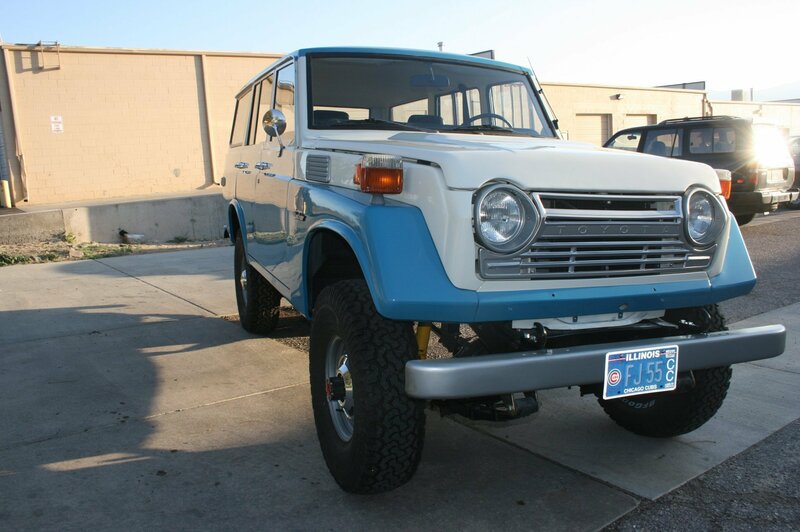 This FJ-55 Resto Mod will be cruisen the streets of Chicago very soon! 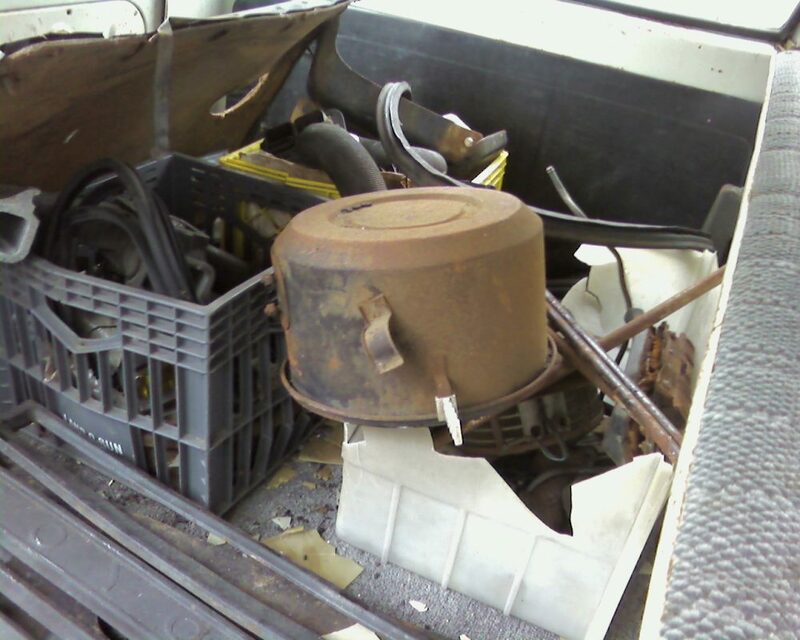 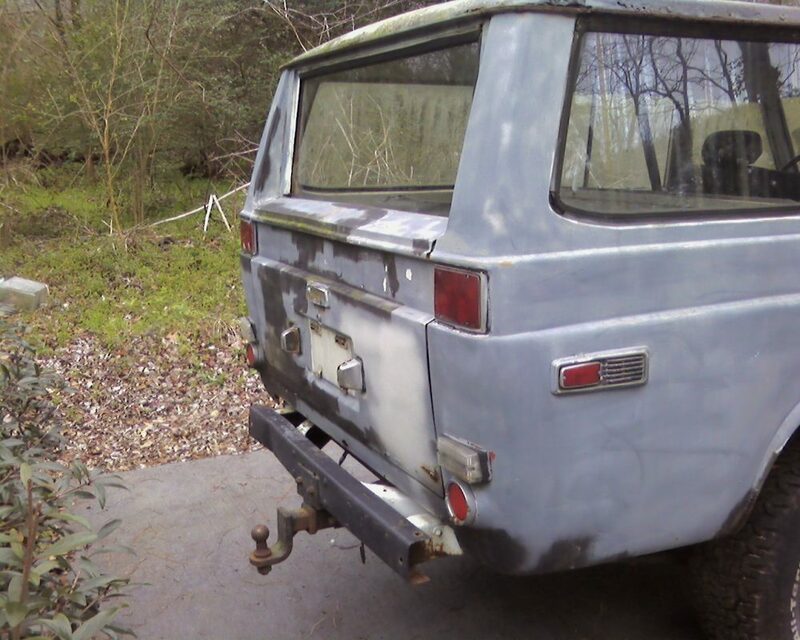 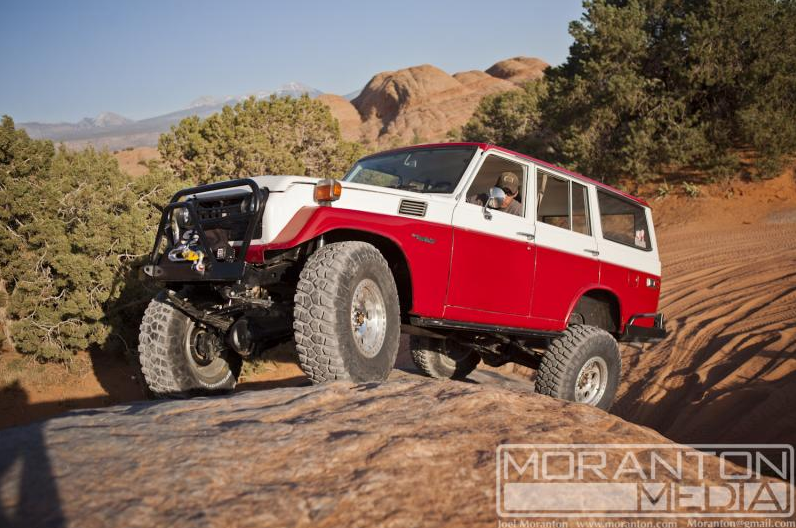 Project Iron Moose is a 1979 FJ55. 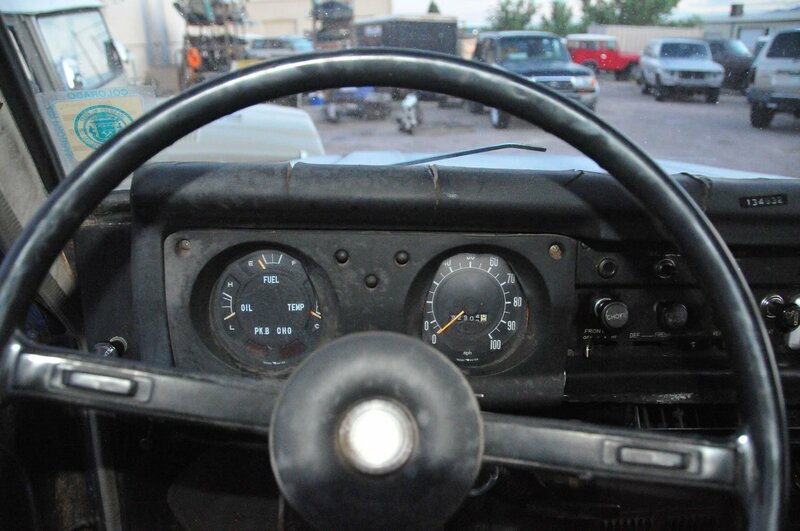 These 79s are few and far in between. 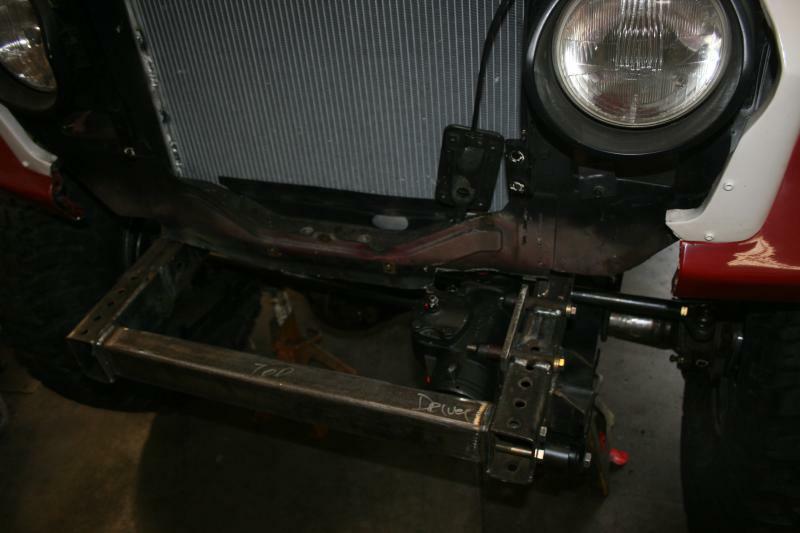 So cutting one apart and putting new components into her is an opportunity to show that Red Line will take great care on this project. 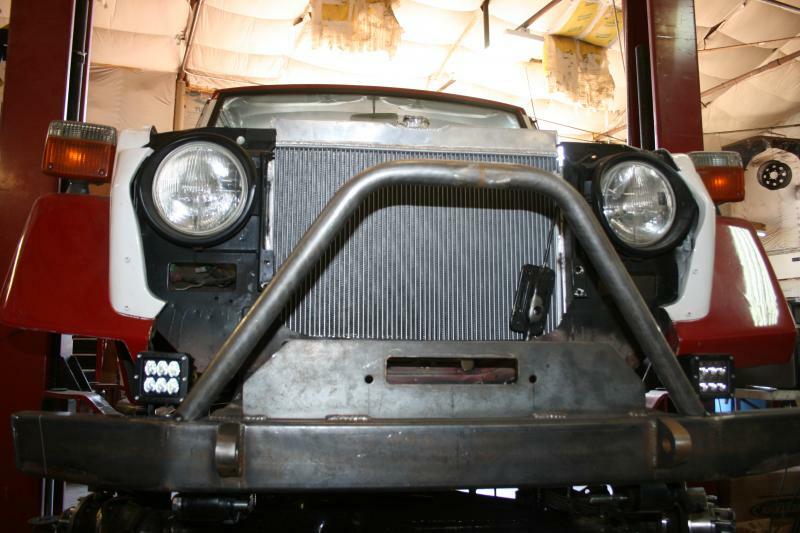 Red Line Custom Crafted full custom armor, a 5.3L V8 swap with a matching auto. 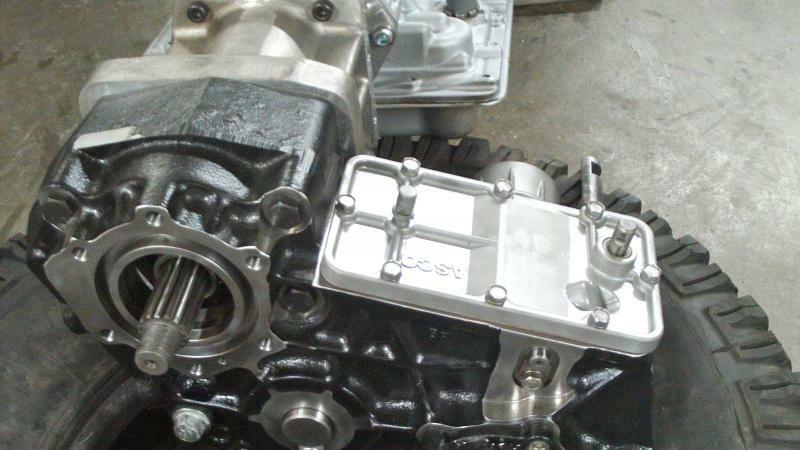 For lower gears we built a 4:1 Low range Orion. 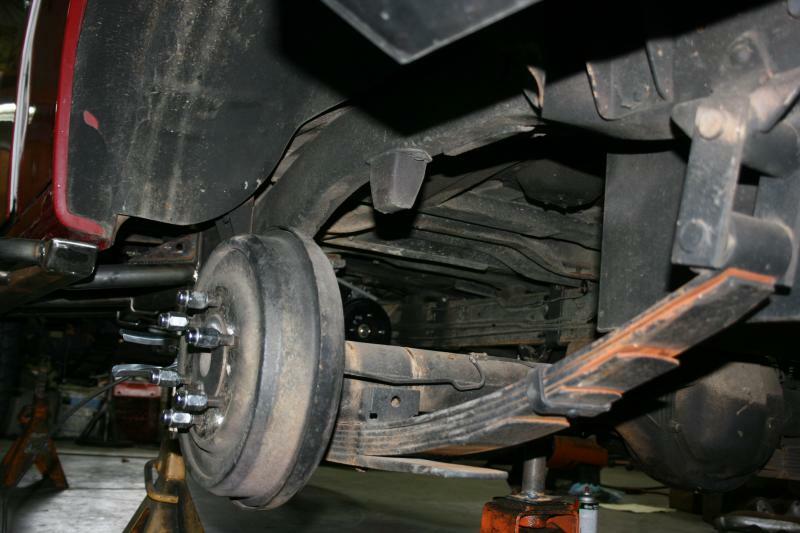 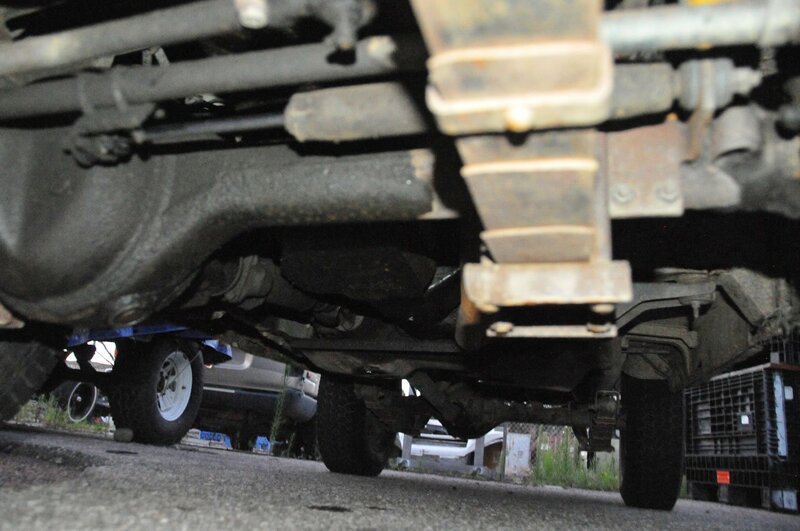 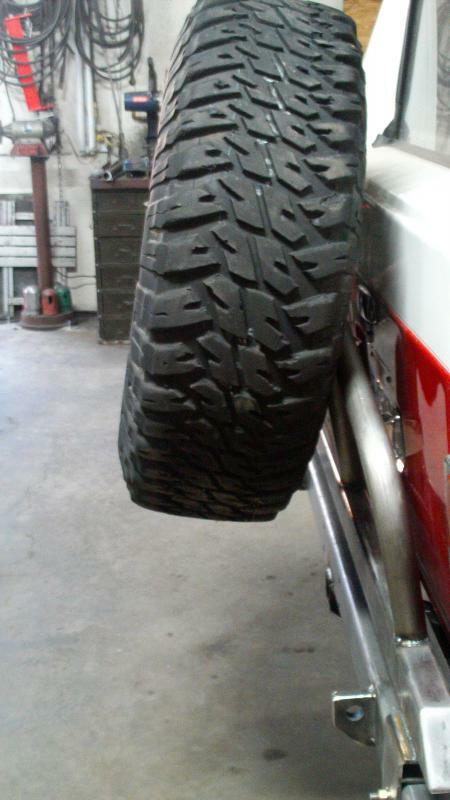 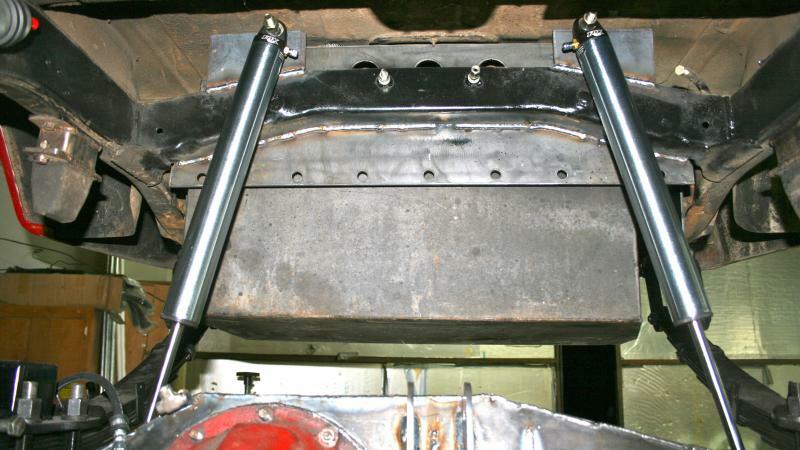 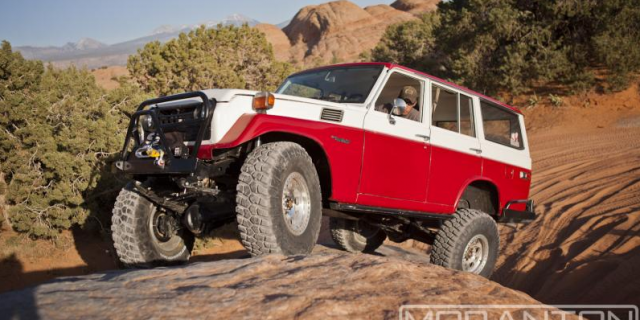 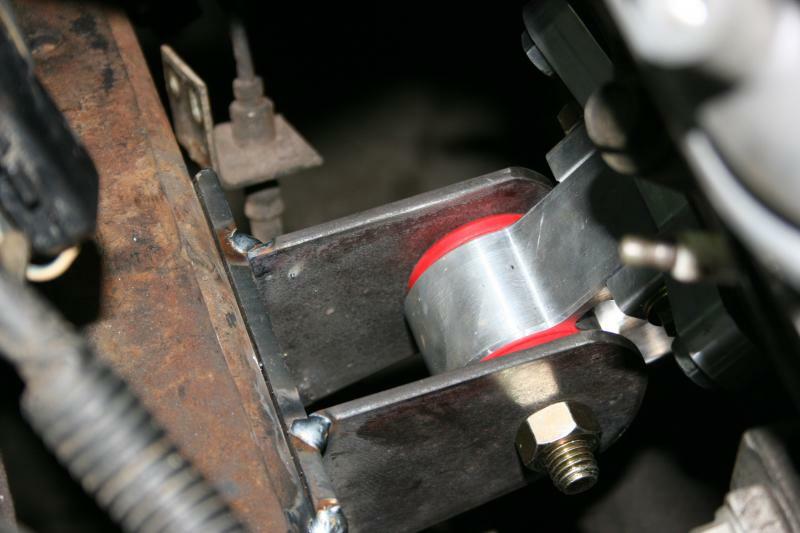 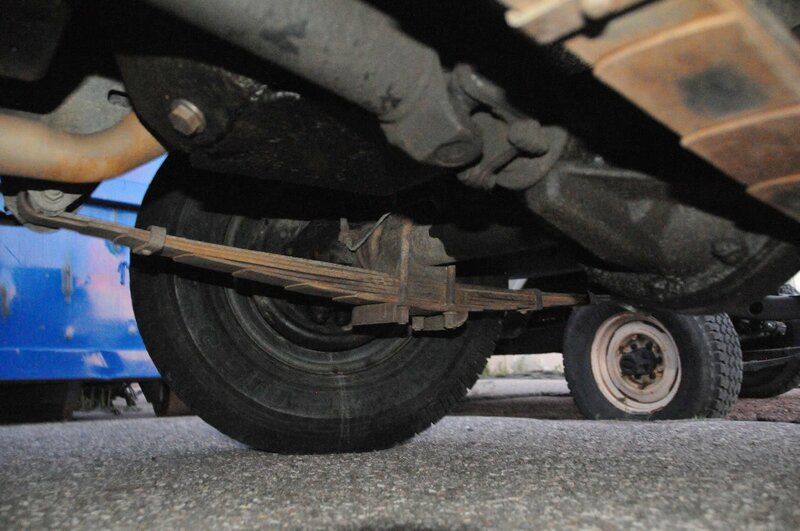 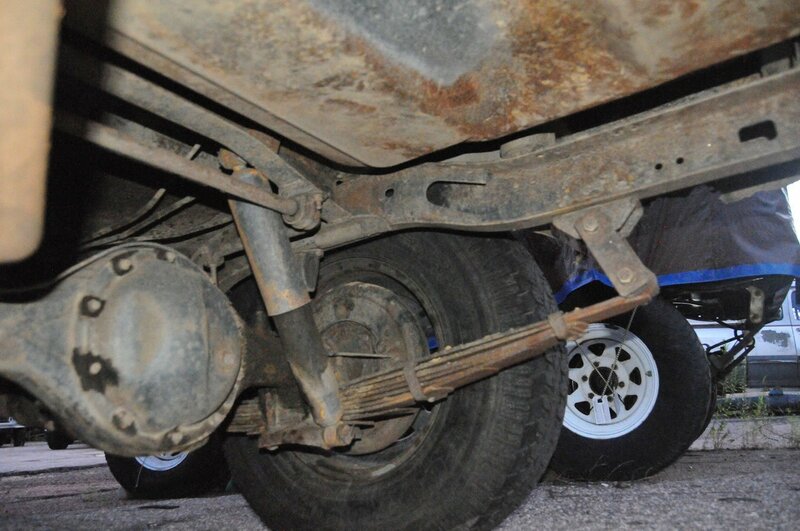 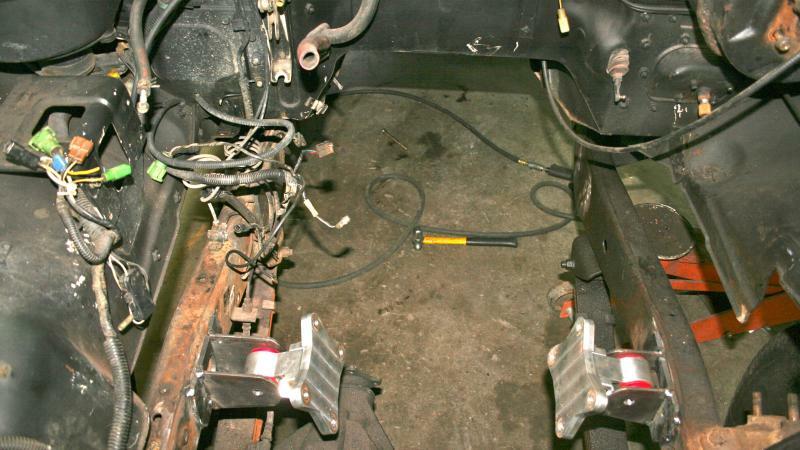 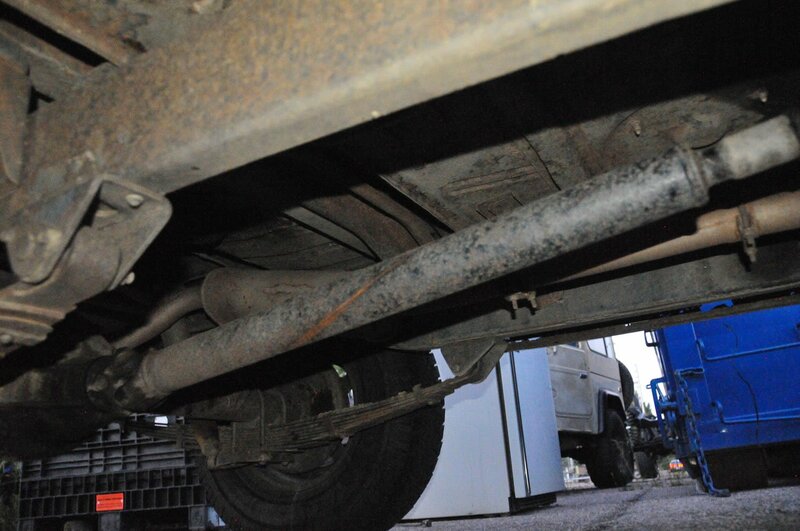 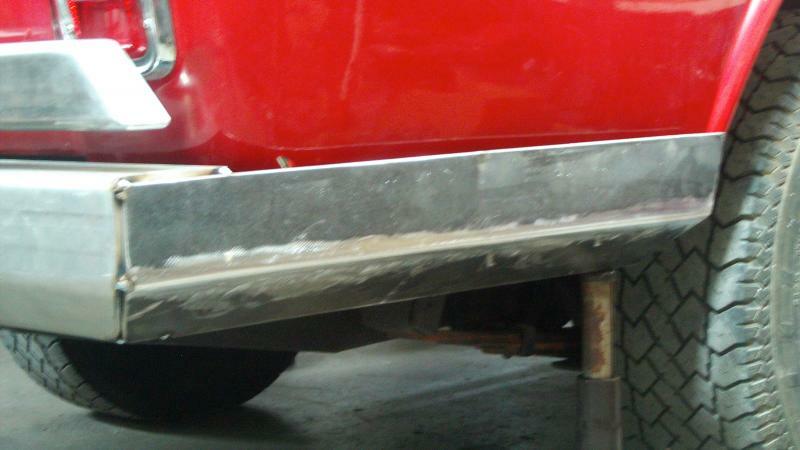 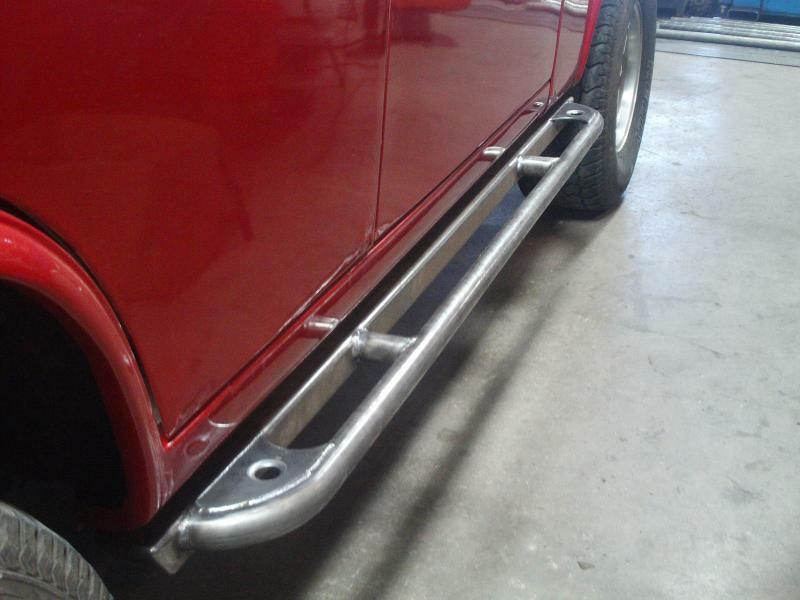 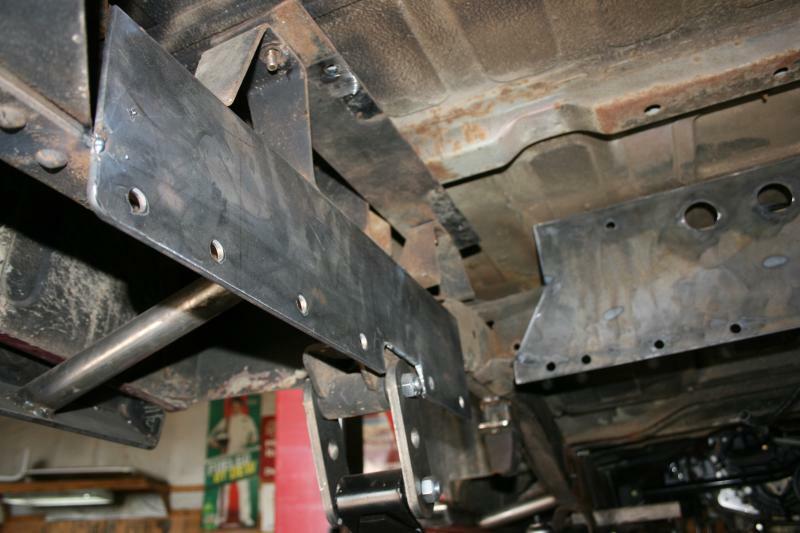 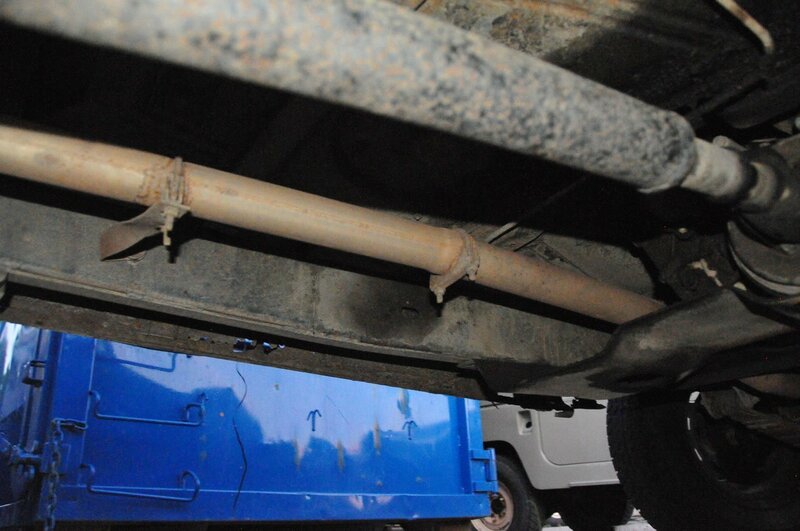 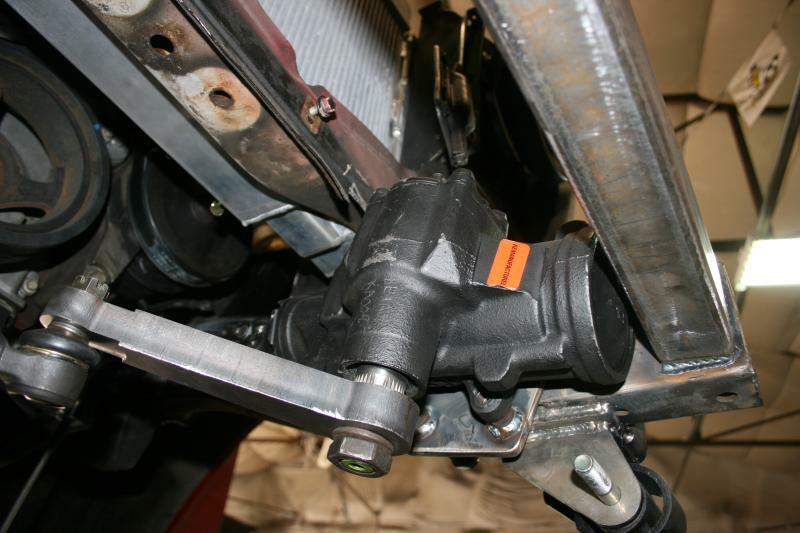 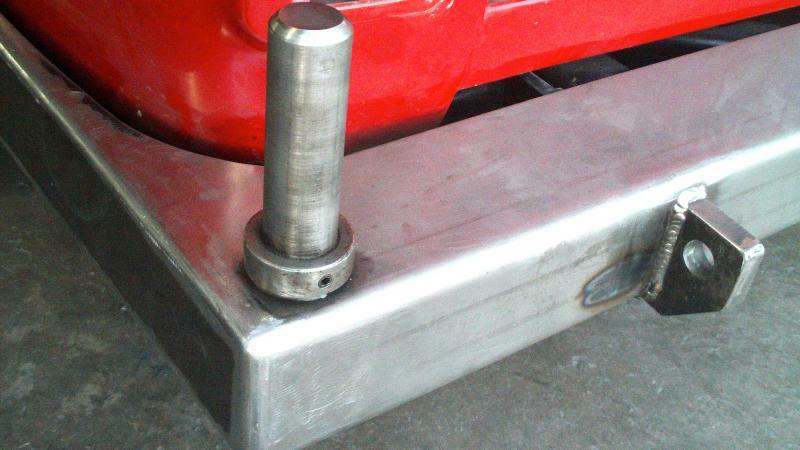 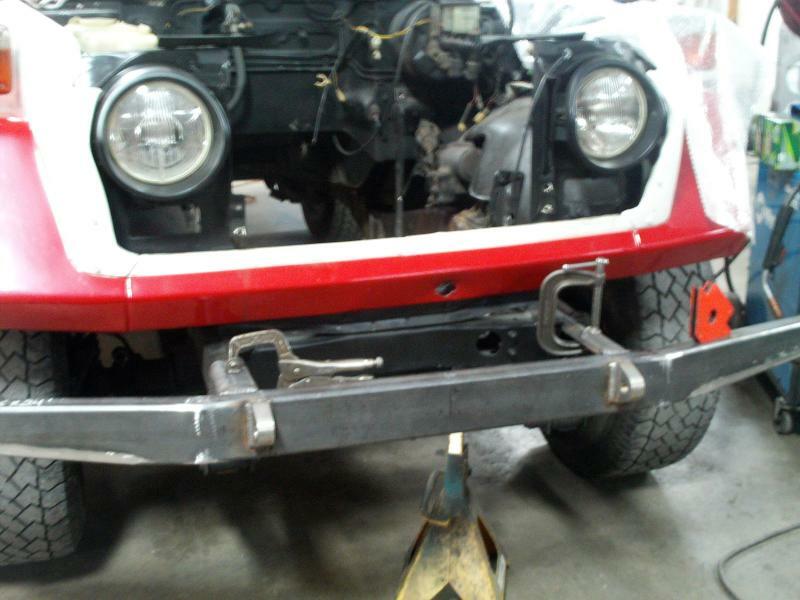 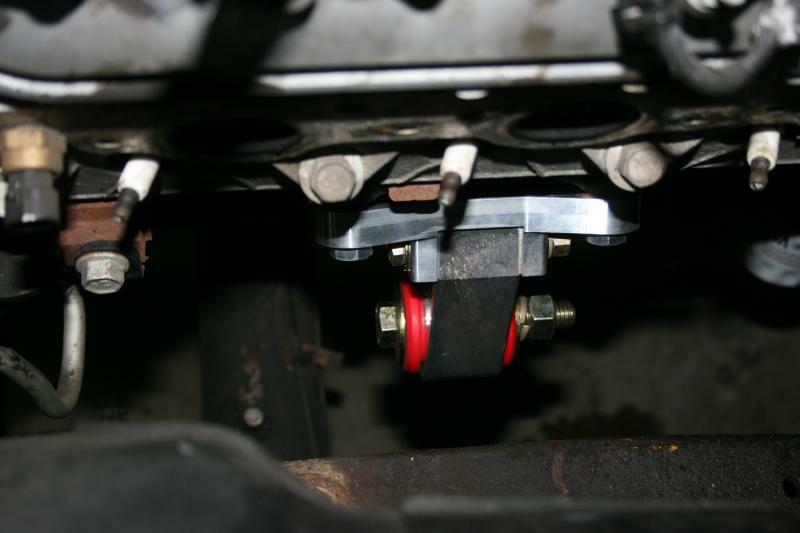 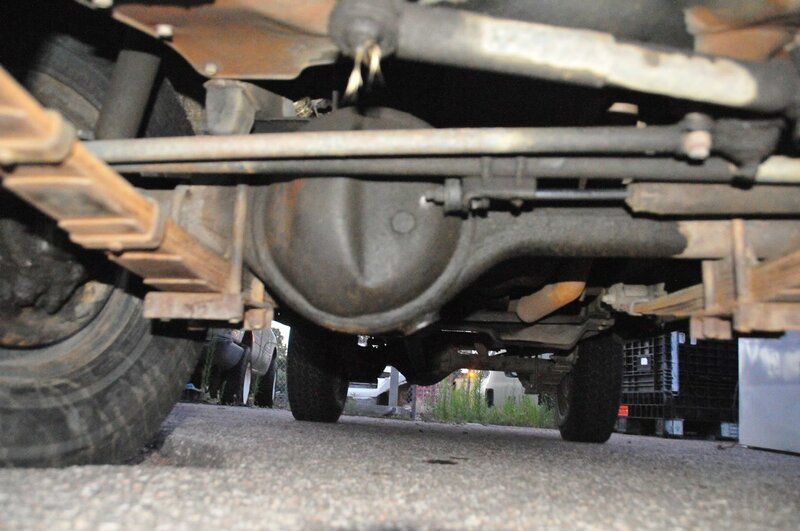 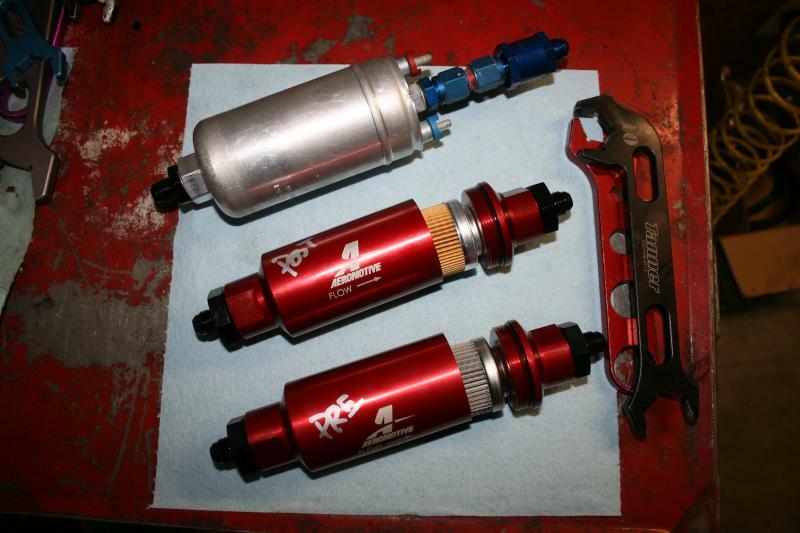 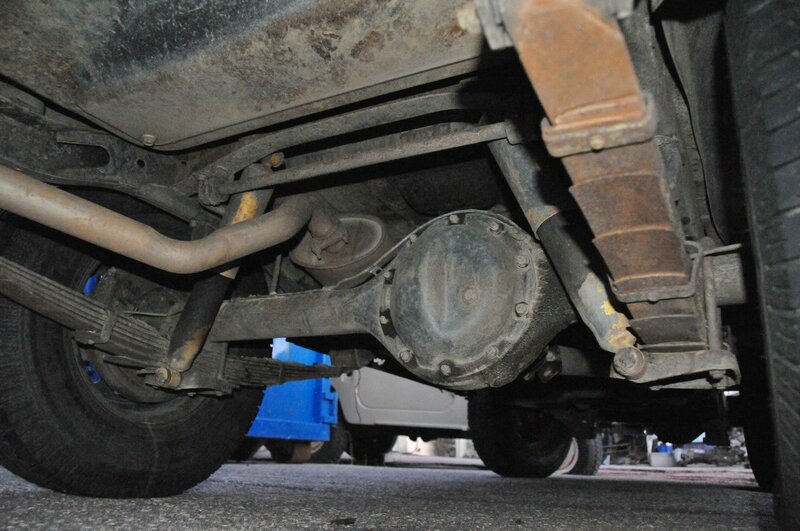 Red Line provided a custom SOA conversion with FJ60 axles for width stability. 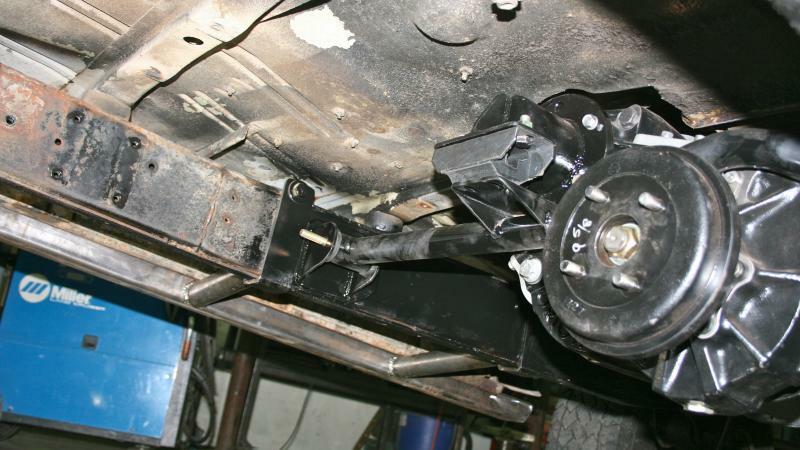 Our full Big brake kit for the front axle and rear disc brake kit was installed. 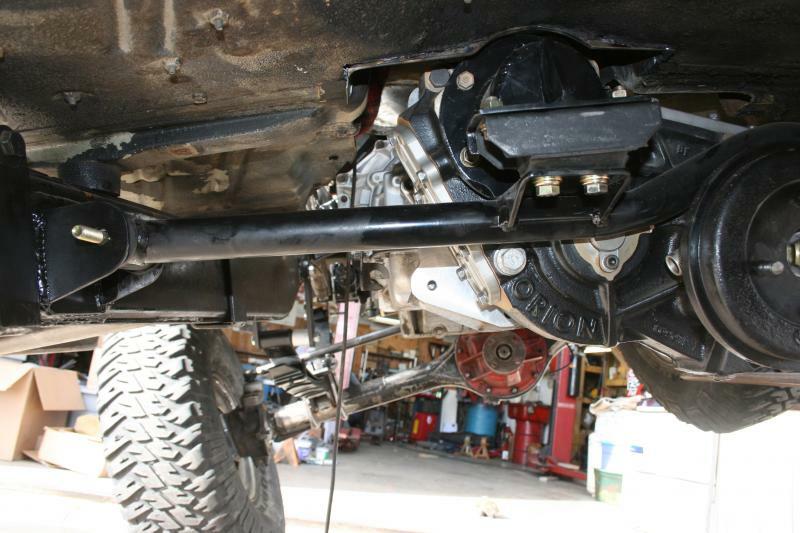 New gears and ARB air lockers with Chromoly axle shafts Power steering conversion and A/C conversion for keeping cool on hot days. 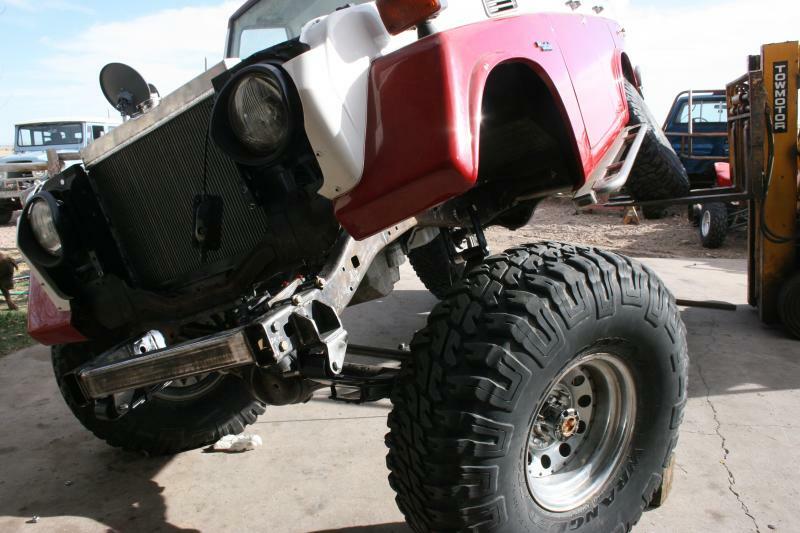 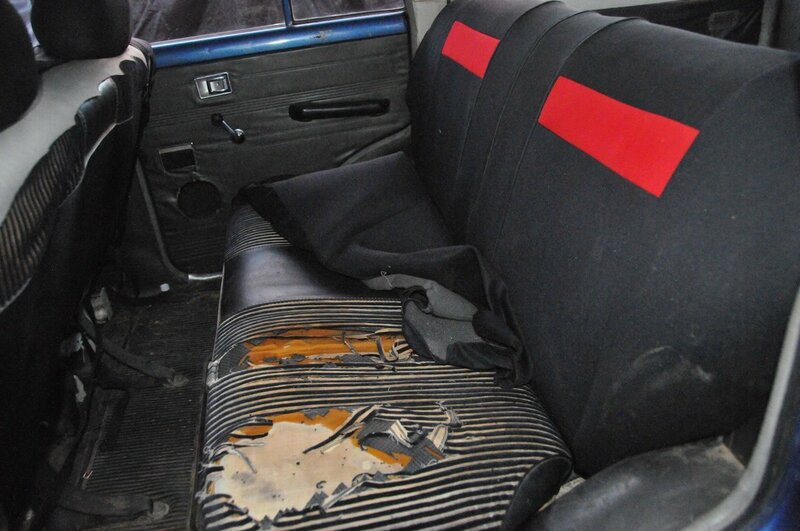 Red Line Resto modded Cruisers are top notch in every category…Period Follow this build with the link below for up to date progress of this rare and beautiful Pig. 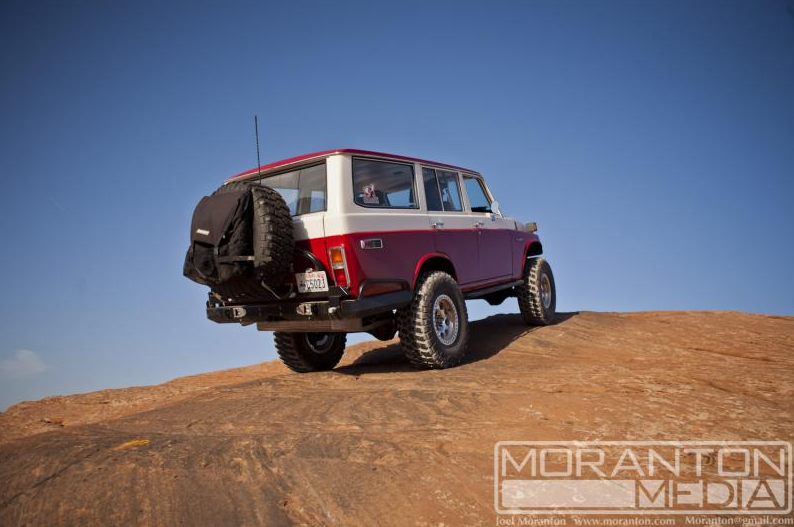 Check out the build thread on IH8MUD.com.